January arrived, and what inevitably followed was a plethora of emails of which each subject claimed to have the answers to this year’s must-have trends (I use the term loosely). And while it’s interesting to read all about whether the ’70s will or will not makes its return, or whether chrome really will replace the brushed-brass finishes, hotel designers must ensure that whatever they produce is timeless. The age-old argument between whether it’s best to be fashionable or stylish is never more relevant than it is in hotel design. Style, in our industry at least, wins every time over ever-changing fashion. It is somewhat hypocritical of myself, therefore, to have uploaded a piece about flooring trends this week, but I urge you to approach this topic with a pinch of salt. 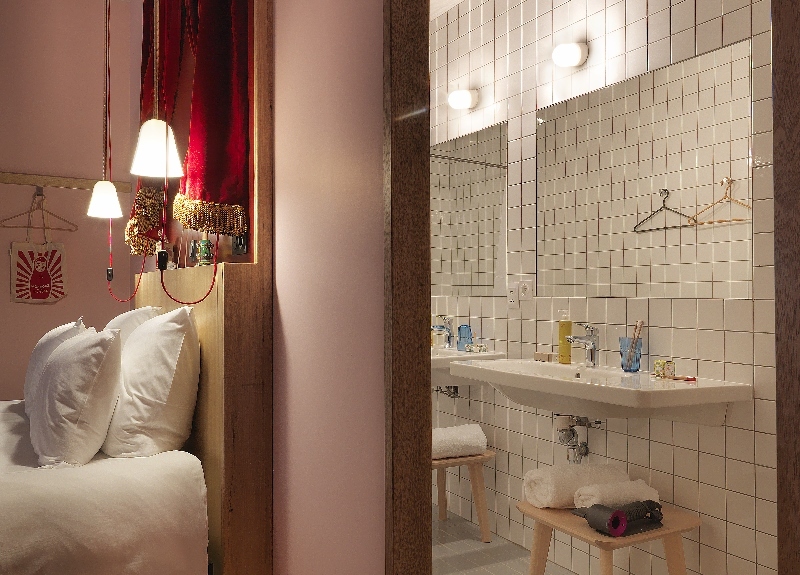 If trends were concrete (and I’m not referring to the industrial-chic bathroom look that was ‘in’ in AW19), international hotel design would become static with nothing ever changing. My hope is that this piece, along with all my features I have the pleasure of writing for Hotel Designs, can be seen as a guide – one opinion among many, if you like, with the ‘many’ referring to our wonderful readers of course. To start the conversation over the weekend, leaving trends aside for now, here are five headlines that have grabbed the attention of our industry this week. 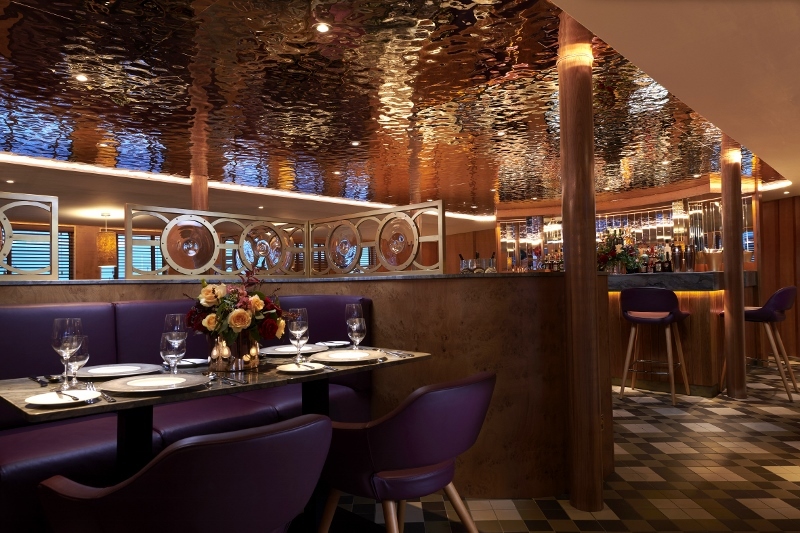 Developed by The Royal Yacht Britannia’s trading company, Royal Yacht Enterprises, Fingal, a new floating hotel with 23 luxury cabins that are each named after Stevenson lighthouses, has launched. 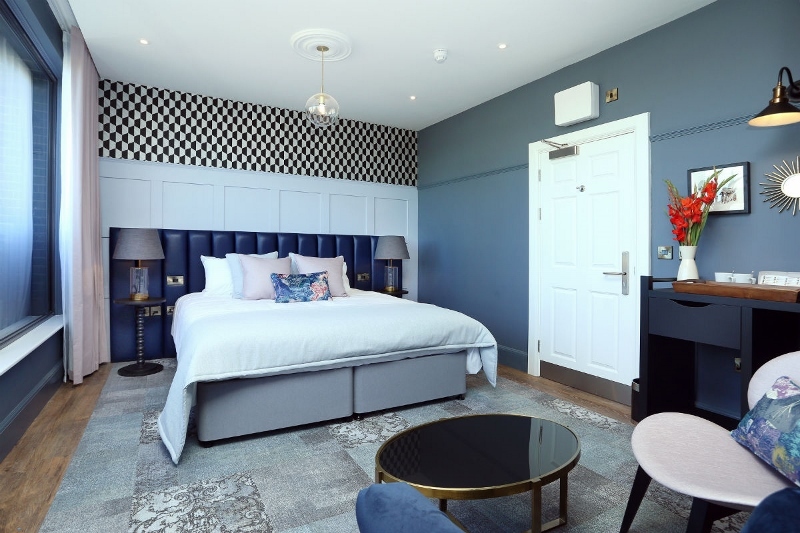 The hotel, which will be permanently berthed in Edinburgh’s historic Port of Leith, includes considered design that offers high specifications of craftmanship and finishes with nautical touches and polished woods throughout. Sumptuous Scottish leathers and the finest linens are in colour palates inspired by Fingal’s journey from land and sea. Last week, we brought you what we considered to be the top hotels that are planning on opening in the first half of this year. 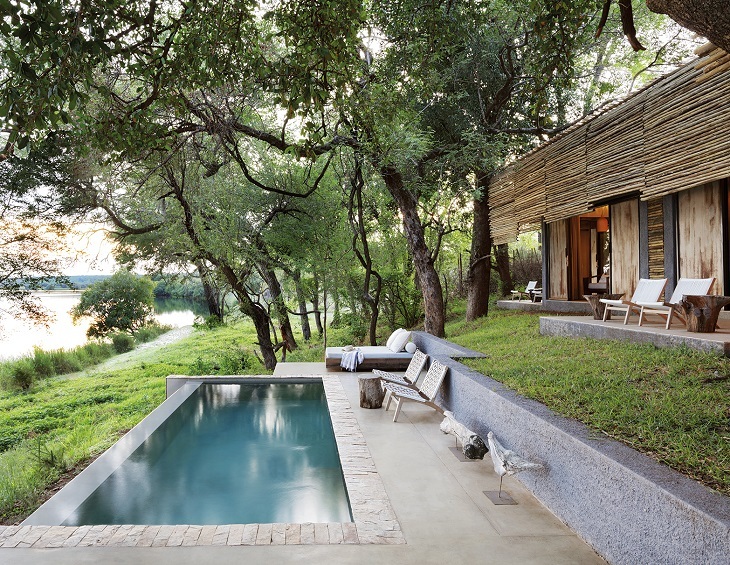 Following suit, we have identified even more significant launches of design hotels that are planning to cut their ribbons from this Summer onwards this year. 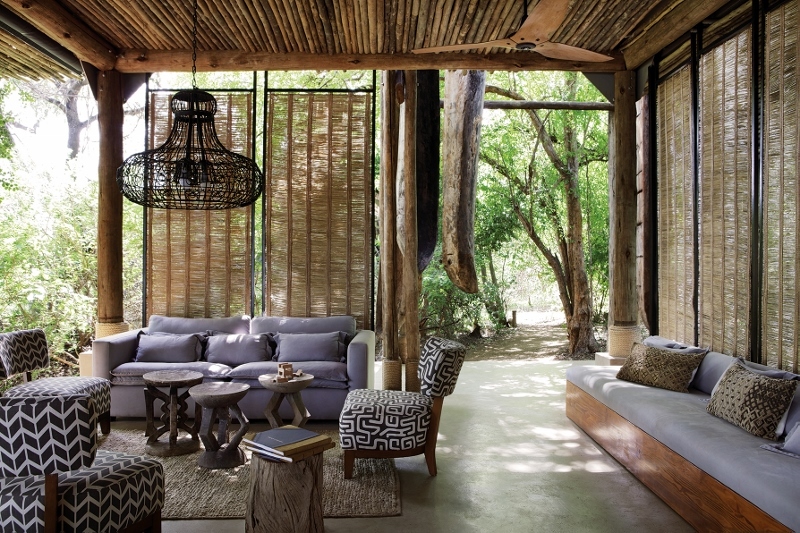 From beachside resorts, to cliff-side eco hotels, here are the editorial team’s top picks. 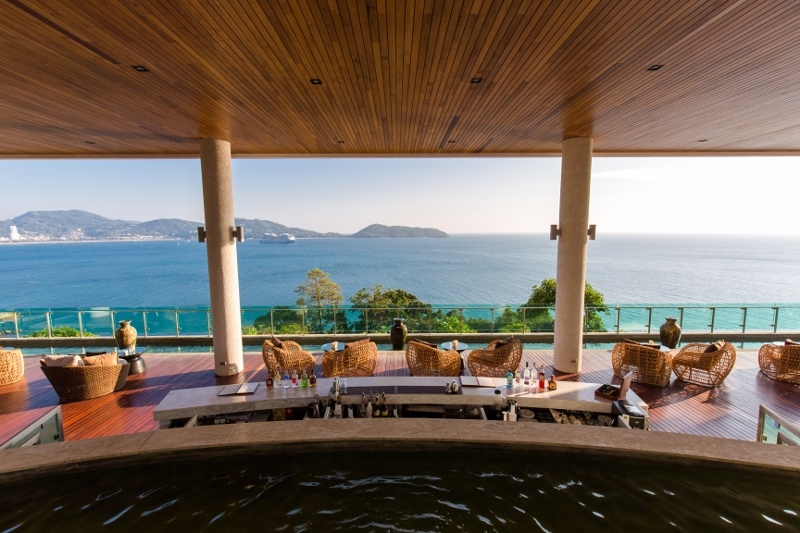 To keep up to date with all the international hotel design news as it happens, follow Hotel Designs on Twitter. 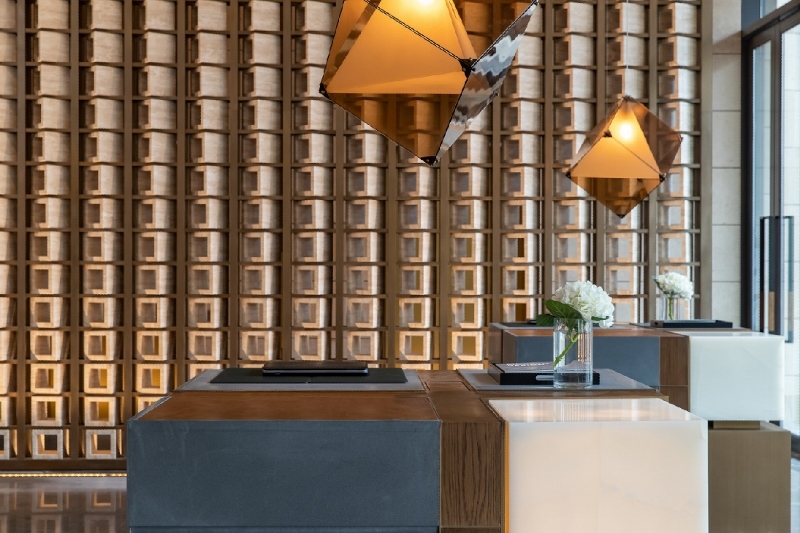 Guests checking in to the newly launched CANVAS Hotel Dallas should expect color outside the lines as they enter into a space where art and hospitality collide to create dynamic and contemporary interiors. 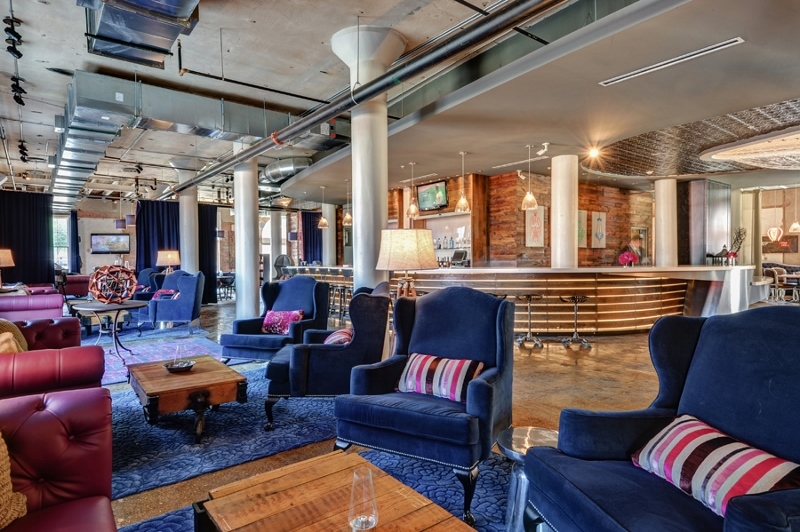 Formerly known as NYLO Dallas South Side, CANVAS Hotel Dallas is an art-centric base for modern trendsetters, an inspirational hub for relentless artisans, and a destination for locals to be creatively inspired while enjoying world-class dining and unparalleled skyline views. With 76 art-infused suites and guestrooms, CANVAS Hotel Dallas offers an authentic-yet unconventional Lone Star State adventure. As a blank slate for guests to create their own experiences, the rooms, suites, lobby area, and F&B outlets have been renovated and reimagined. The fresh interior design, décor and artistic elements directed by Dallas-based Studio 11 Design, CANVAS paints a fresh perspective of its original building, a structure integral to the history of South Dallas that is almost a century old, that has been well-preserved, refurbished and now LEED certified. Upon entering, guests are made to feel at home in the refreshed first-level lobby and restaurant with elements that portray a living room-feel. Intimate seating areas foster common social spaces in the eclectic industrial space, adorned with locally discovered and bespoke accessories from the Dallas area. The restaurant’s dining area converts into flexible meeting space, divided by a sliding glass partition. 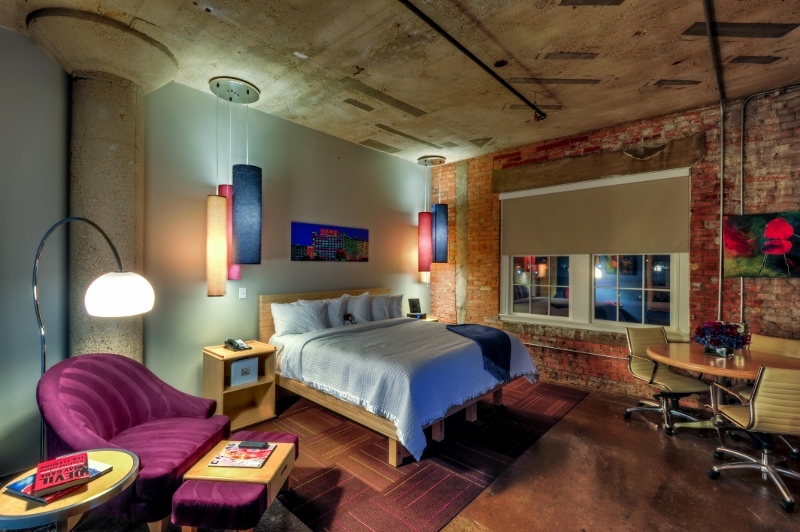 The guestrooms and suites feature quirky, loft-style design and décor, with 10-12 foot high ceilings, pressed concrete flooring, exposed brick, and funky industrial elements and fixtures. New custom carpeting, two lighting and art has been installed in all public areas and guest hallways, and the lobby has been reconfigured to be more conducive to social gatherings, common work areas and meeting the needs of the modern hotel guest. More room renovations are slated for 2019. From palette to palate, CANVAS Hotel Dallas brings two art-inspired restaurants and lounges to the South Side of Dallas. Chef’s Palette is the redesigned first-level lounge and restaurant where every plate is a tasteful expression of culinary creation. Meanwhile, the rooftop bar formerly known as SODA has been redesigned and renamed The Gallery Rooftop Lounge. 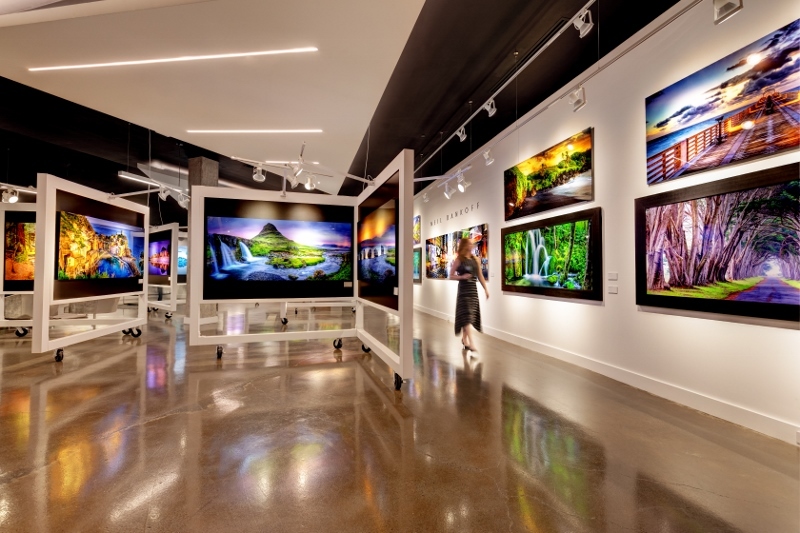 The indoor/outdoor lounge offers a sweeping 270-degree view of the Dallas skyline, but the vista isn’t the only masterpiece at The Gallery. 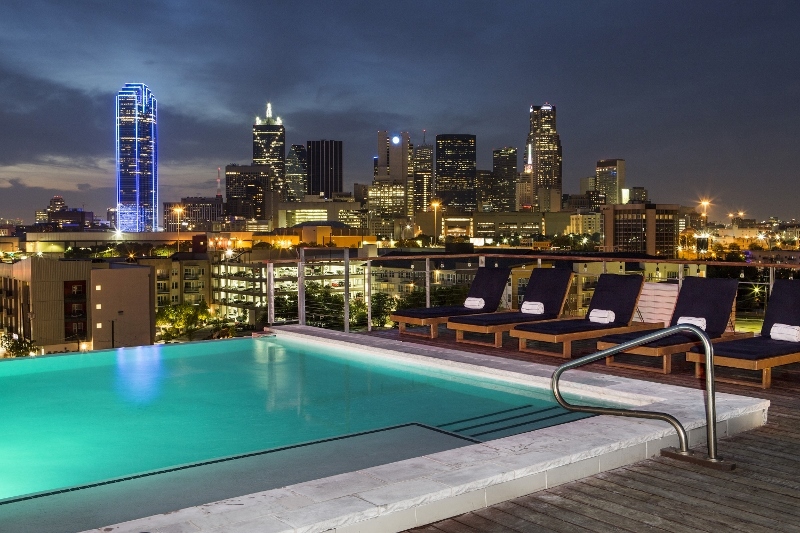 From chef-centric food offerings, to handcrafted cocktails and eclectic art by up-and-coming Dallas artists, everything at The Gallery Rooftop Lounge is an ode to originality. Whether guests are experiencing the hotel for the first time or whether they are locals enjoying the sharp and quirky public areas, the whole hotel has been lifted and redesigned to inspire. CANVAS Hotel Dallas will officially open on January 1, 2019. Show Season 2018 was a delicious cocktail of all the freshest, and tastiest, ingredients. Served up in a number of containers, each event unique in its structure, content and general look and feel. Sheltering insights of the future as well as game-changing product launches, the whole season has been one to remember, as we will review in next month’s Spotlight On feature. Following the incredible activities, exclusives and far too many after parties that surrounded Show Season 2018, the industry was in desperate need of a show-stopping climax. And that, this year, came in the fashionable form of The Brit List 2018, which showed up in an unlikely – yet warmly received – location and delivered an evening of celebrations and understated glamour. 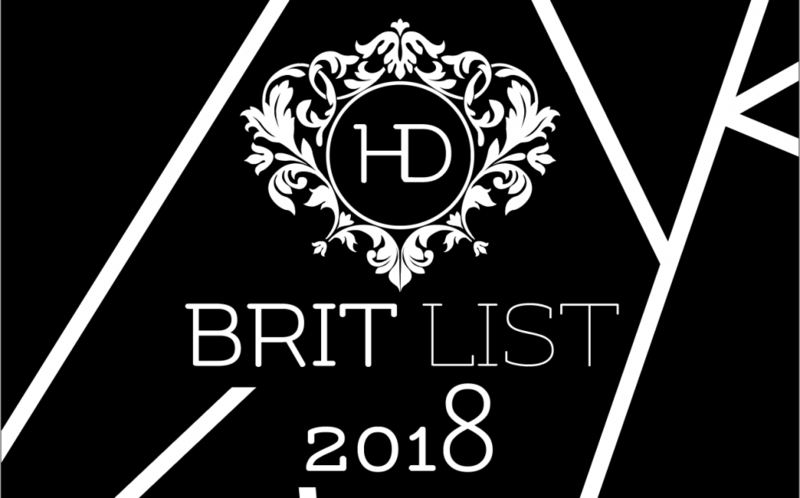 Deliberately designed this year take the industry outside of the hotel arena, The Brit List 2018 took place in a private members club, BEAT London. Enjoying that scene, and celebrating Britain’s leading figures in hotel design, were guests from the likes of Gleneagle’s Conor O’Leary, Ennismore’s Charlie North, HBA London’s Constantina Tsoutsikou, and Richmond International’s Terry McGillicuddy among many others; the room was heaving and further defined Britain as a major international hotel design hub. If you haven’t yet seen who the winners are (where have you been) click here. 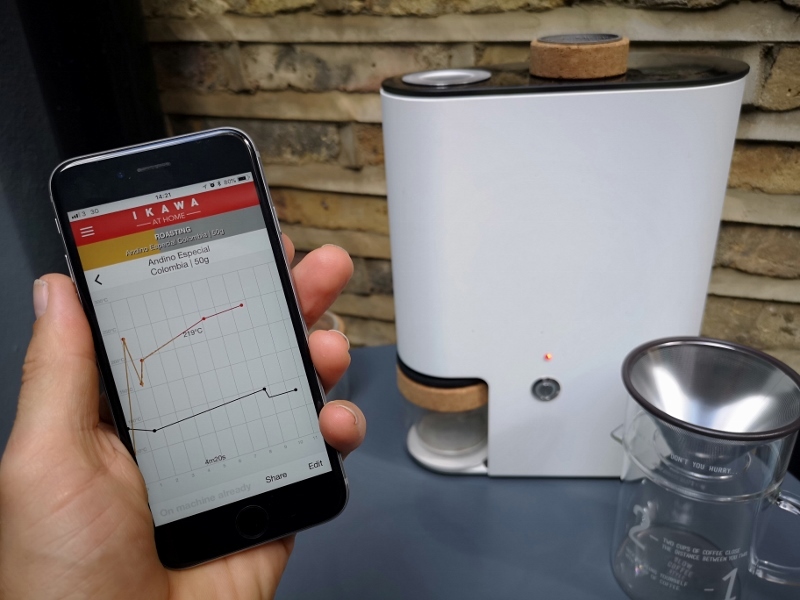 Another event which settled into a new home this year, as it outgrew the Business Design Centre in Islington, was SLEEP + EAT which was warmly welcomed to Olympia London. Introducing what were, in my mind, the best Sleep Sets were four fabulous design houses, which all pushed boundaries under the umbrella theme of ‘collaboration’. 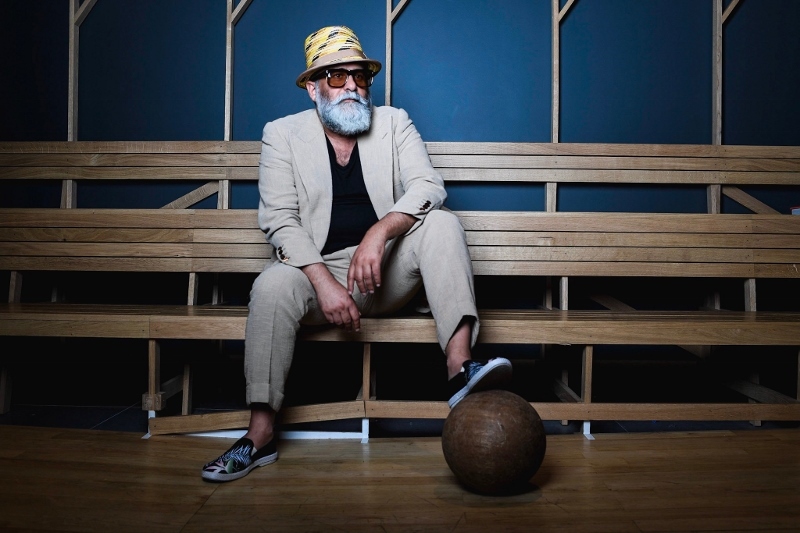 HBA London partnered with the National History Museum, Yasmine Mohmoudieh linked arms with Penguin Books, AB Concept stirred the mix with Maison Pierre Hermé Paris, while Denton Corker Marshall kicked off a partnership with West Ham United. Each set was stunning and being in the audience of the Sleep Sets lecture, where each designer explained their concept, was inspiring as it was interesting; a real personal treat. 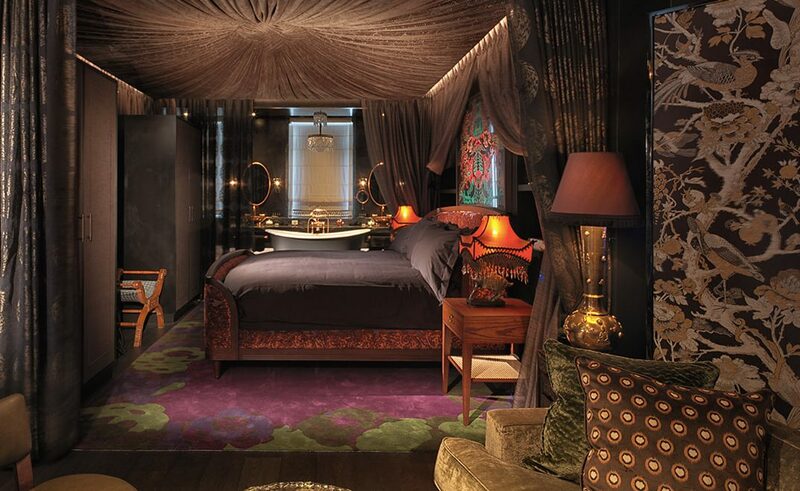 This month’s hotel review opened up our eyes to disobedient interiors in the shape of Hotel Gotham. Together with our photography partners, ACT Studios, we were able to bring you into the review with us. 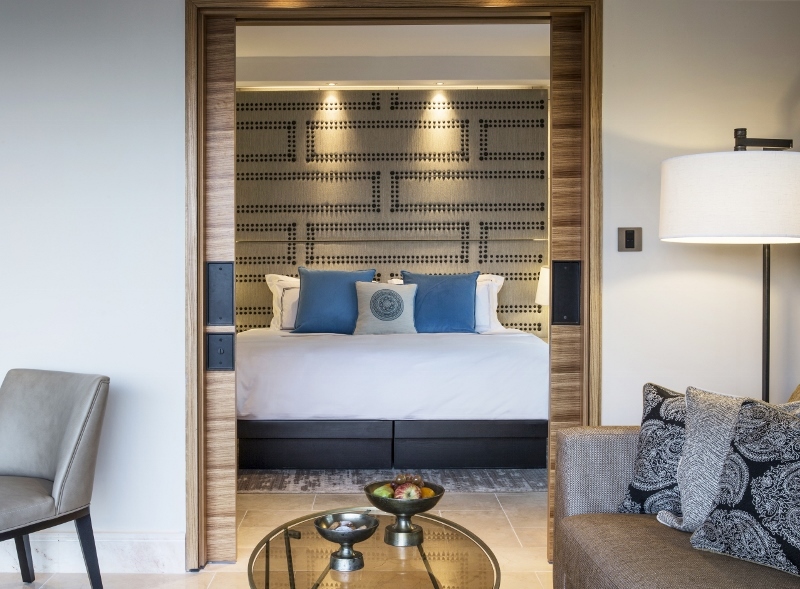 This, our second interactive hotel review, comes as the hotel group prepares to welcome a new member to the Bespoke Hotels family. 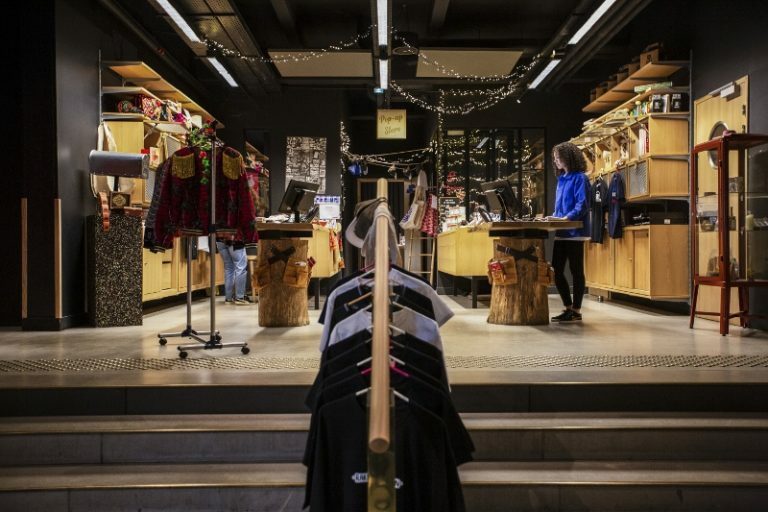 I believe that November 2018 was a significant 30 days in the calendar for designers, hoteliers, architects and key-industry suppliers for a number of reasons. The first being that it welcomed and encouraged the industry – through various means and methods – to network with like-minded people. Secondly, it invited a number of major product launches, many of which were from our Hotel Designs Recommended Suppliers (which can be accessed here). And thirdly, this month has allowed our editorial team to mingle and meet up with old friends, while meeting new faces who are at the cusp of taking our industry forward. Long may that continue! Expect disruptive interiors that are balanced with effortless style and a narrative threaded throughout the whole building that will take you right back to ’20s glamour. Manchester’s answer to Gothic-chic is often the heart of the action of the city thanks to the vivacious General Manager, Mario Ovsenjak. 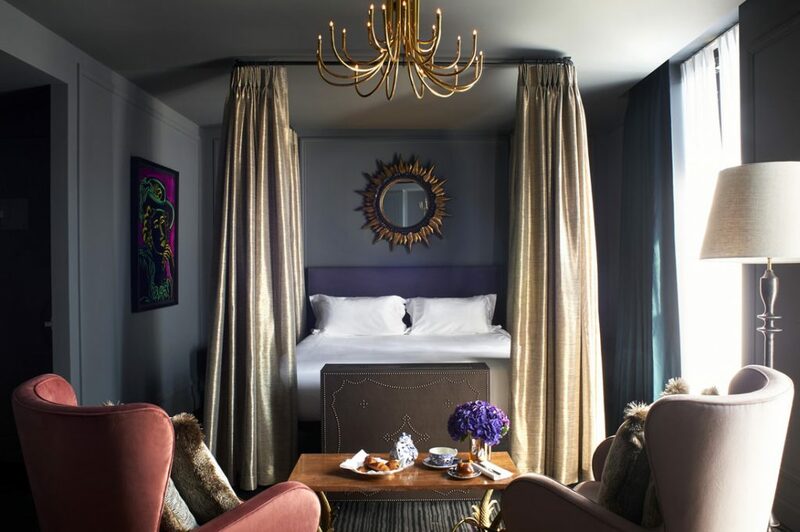 It’s this action captured within Hotel Gotham, almost on a need-to-know basis, that helped first raise the bar in hotel design in the North in order to compete not only against its London counterparts, but also against luxury hotels around the world. Because Hotel Gotham is, quite frankly, unlike anywhere else around the globe. The concept was to create timeless luxury with the ability to take guests away from the city centre below they know and love and into a different universe entirely, all while remaining sensitive in restoring moments that capture the hotel how it used to be. Think Art Deco meets the Batcave. The entrance, under the watchful focus of the building’s gargoyles, is surprisingly understated given its majestic shell. 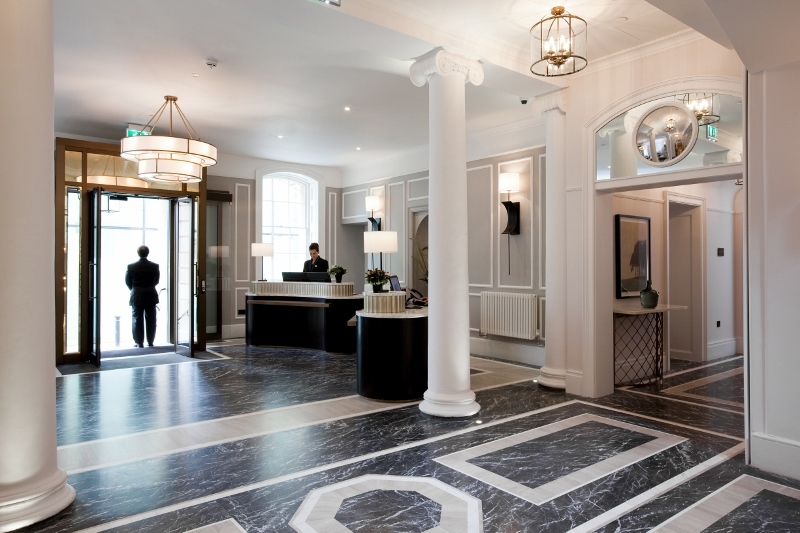 Designed to emphasise a theatrical greeting from magnificently dressed porters, as if themselves are part of wider performance or an extension of the interior styling, the doors to the hotel are more like a curtain to a stage. Look up and all is not what it first seems. The ceiling is made up of numerous upside-down umbrellas – not for the superstitious I must add – painted in black and gold. These elements are special because they didn’t quite work out according to the original plan. These items were supposed to arrive painted gold underneath and black on top, but it wasn’t until the interior designers erected the first one when they realised that they had been designed to be gold on top and black underneath. Today, the subtle reference to Manchester’s inevitable downpour is cleverly injected and hides the secret well. Checking in on the sixth floor is an unusual experience to say the least, but an experience I have seen work before, at the W Amsterdam for example. 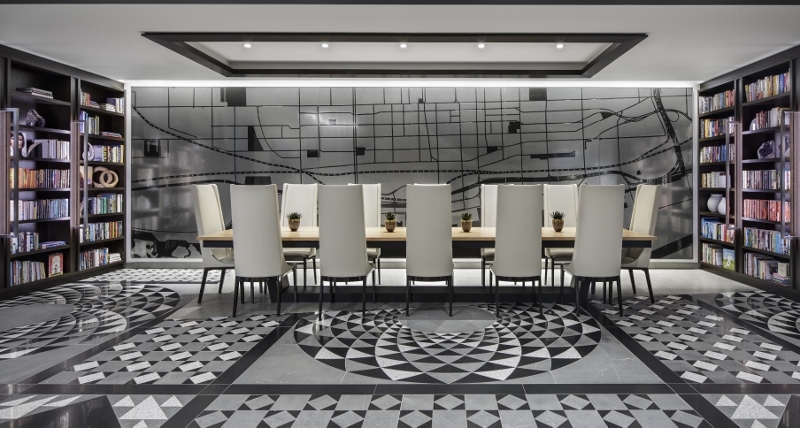 Unlike the raucous, wild and fashion-forward W brand, though, Hotel Gotham’s lobby experience is private and provides and secluded and personal welcome. Just a few steps along and guests are greeted into a large and airy Honey Restaurant, with its own personality. The hotel describes this place as “Whatever Honey conjures up for you”, the 2 AA Rosette awarded restaurant offers guests to dine overlooking Manchester from an unmatched perspective. 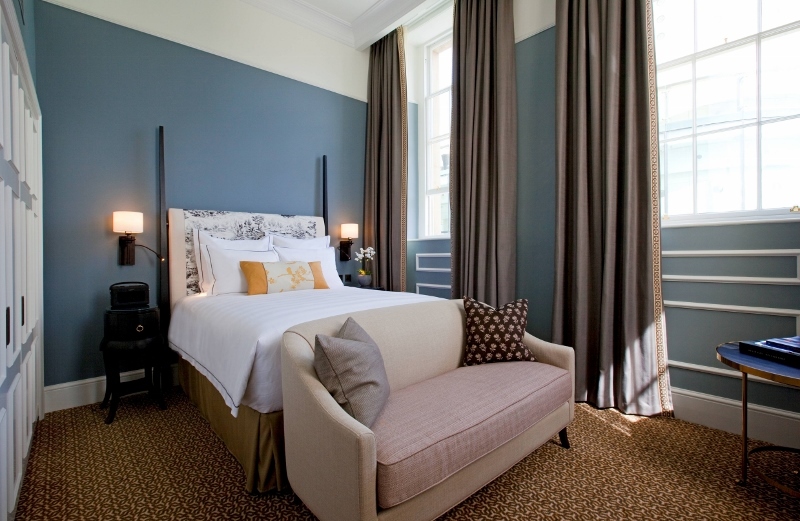 Downstairs, the guestrooms and suites shelter the true character of Hotel Gotham. Disruptive interiors balance a seductive, playful misé en scene, yet still feel like a home from home – like a modern designer’s sanctuary… The zig-zagged, soft Newhey carpets and the striking pink accents in the furniture and the inside of the drinks cabinet add flair in all the right corners. 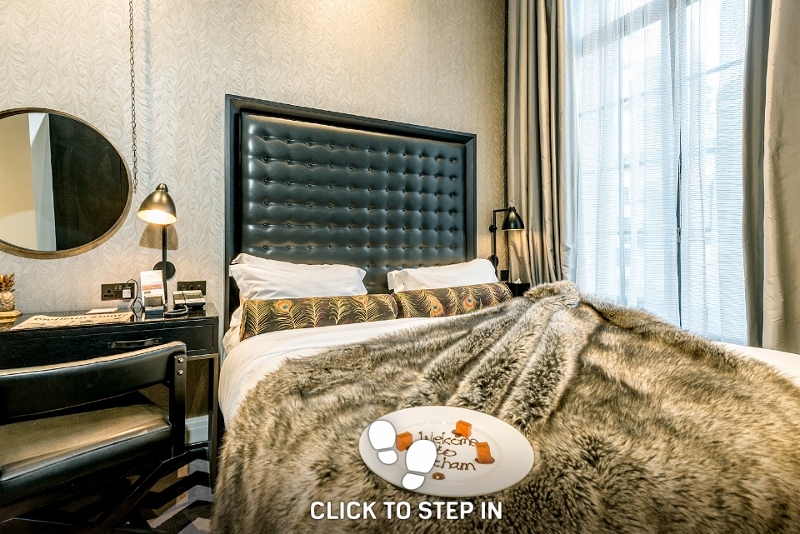 Meanwhile, the oversized beds, complete with faux fur throws, make lying-in a privilege. Challenging the convention of traditional luxury hotels, the most premium category rooms at Hotel Gotham do not boast the most premium views of the city – in fact they boast no view at all. Instead, cleverly I believe, the five Inner Sanctum Suites – each named after an iconic Manchester figure and featuring a huge ‘wonderwall’ screen – are vaulted within the core of the building. Windowless and worlds away from anything happening in the city below, the suites’ sharp cinema screen projections onto panelled wallcoverings offer various atmospheres, not just the one that Manchester wants you to see, including the intriguing narrative of Hotel Gotham characters. The real showstopper is located on the top floor (floor seven), and is reserved for guests and members only. The history of the building is quite literally written on the walls in the bar. The surfaces are lathered in gold, giving more than just a subtle nod to the bank that the building used to shelter. The bar and lounge area naturally over-spills onto four separate terraces that together capture a jaw-dropping view over the city and beyond. 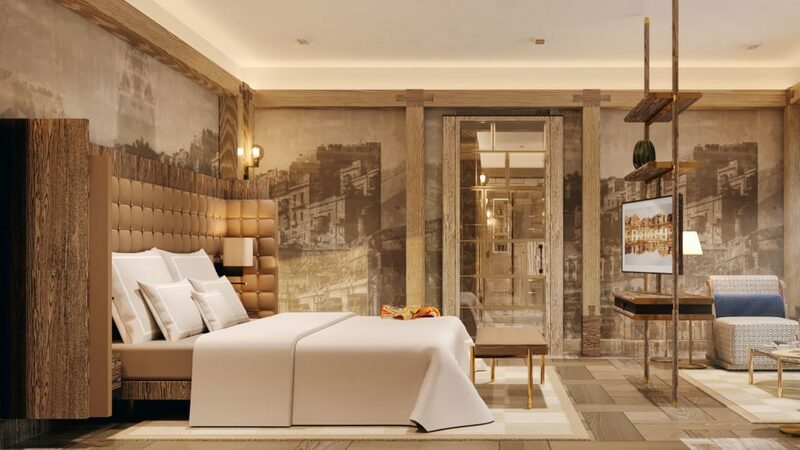 Bespoke Hotels recently announced that it was to open the 191-key The Brooklyn to Manchester, which will pay ‘homage to the Golden Age of New York City’. This follows Top Hotel Projects revealing a rather large development growth of luxury hotels in Manchester, with 18 first-class and luxury hotel projects listed for the city with 2,907 rooms in the pipeline – eight of which are slated to be unveiled in 2019. The Brooklyn, which will become the younger brother – or sister – of Hotel Gotham, is expected to share the same disobedience, and rightly so, as the hotel group arguably continues to lead the way in the city with endless possibilities that help to broaden the ever-changing landscape of hotel design in the North. 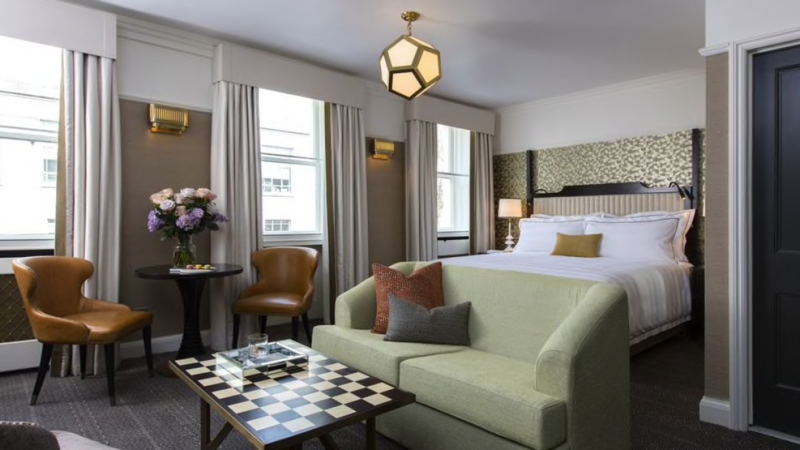 Located in London’s more literary neighbourhood of Bloomsbury, The Academy Hotel, has revealed details of its million-pound interior design refurbishment. 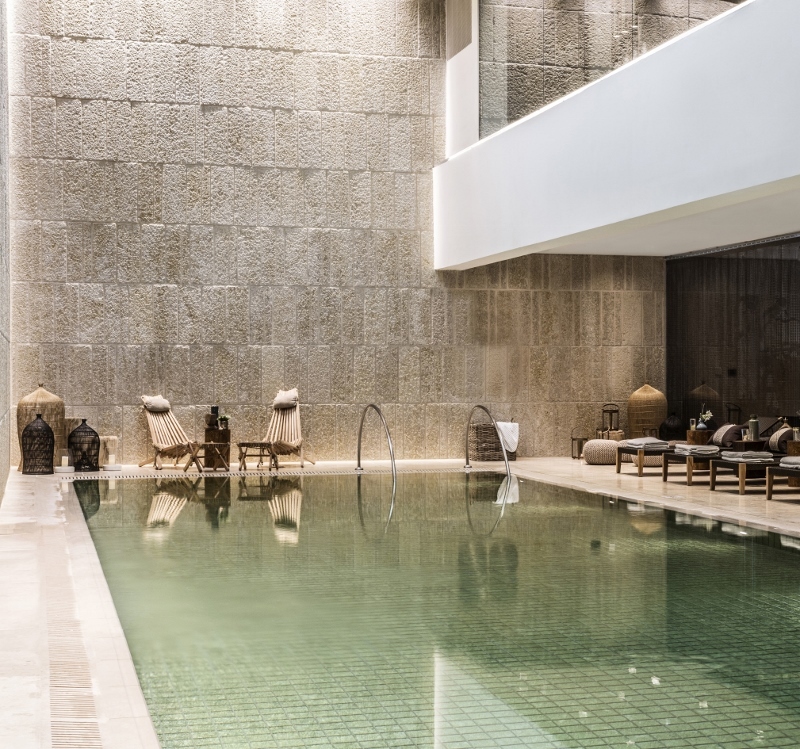 The hotel, which is part of YTL Hotels’ UK portfolio, has been designed by Alexandra Champalimaud and her skilful team whose portfolio includes The Gainsborough Bath and Spa and soon-to-open Monkey Island in Berkshire. 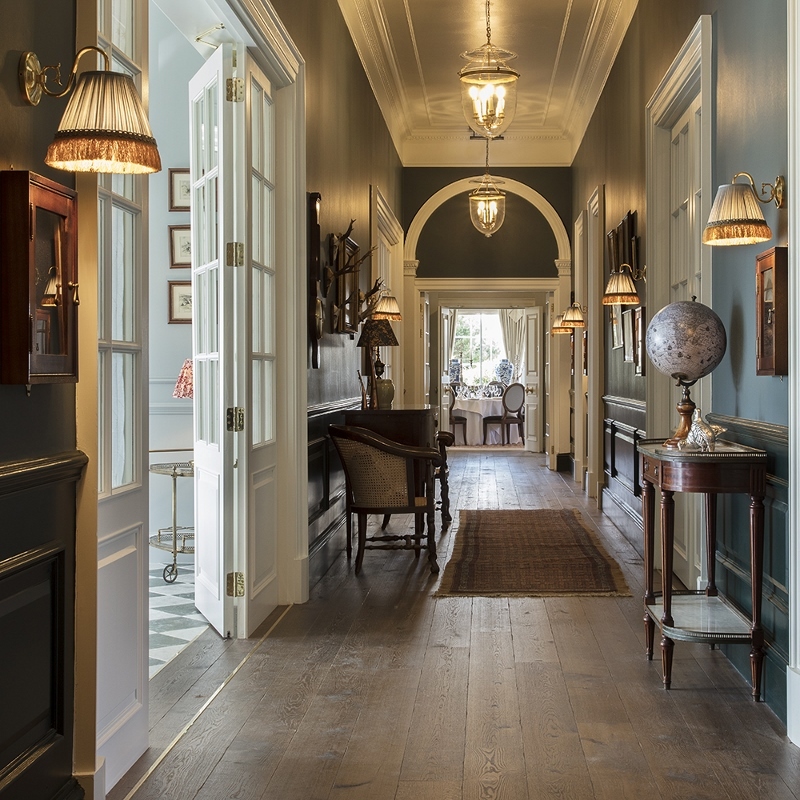 The team worked close with the hotel group to convert the five Georgian townhouses into a charming, sophisticated and historical experience for guests who are checking in. 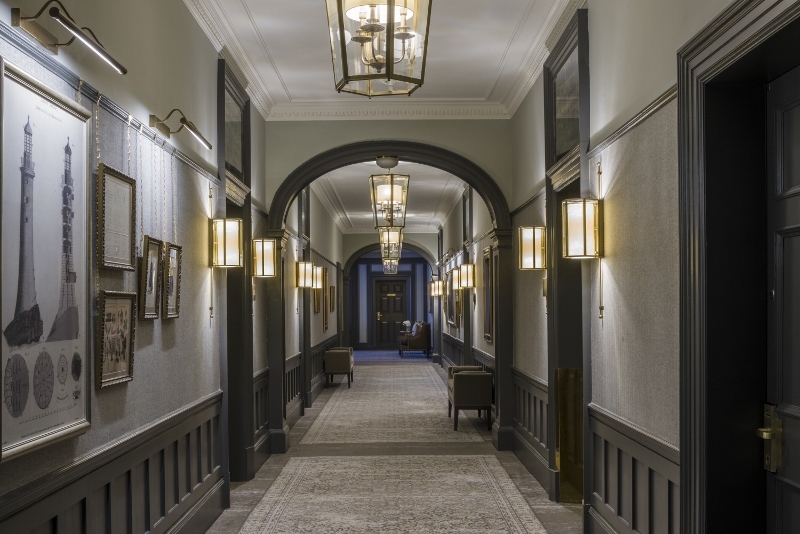 Inspired by the Bloomsbury Set who lived and worked there in the early 20th century, the interior design of the newly completed hotel is a tasteful blend of modern and vintage. The design team have perfectly balanced giving a nod to the building’s past while also drawing on inspiration from modern-day London. Each of the 50 elegant guest rooms have been designed to celebrate 240 years of the Georgian hotel’s history. High ceilings and sash windows give light-filled rooms an immediate sense of calm, which en-suite marble bathrooms and high king-sized beds (something I have noticed Champalimaud to love) add to the luxury. 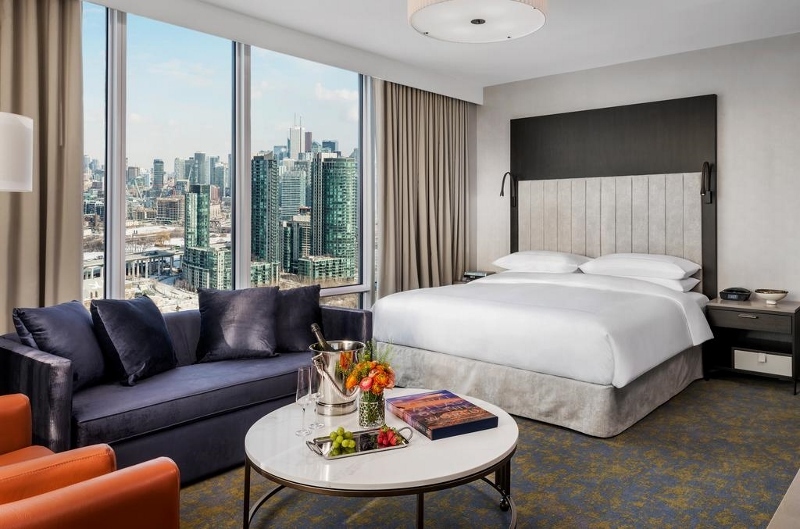 The soft furnishings of each guest room have been meticulously chosen to combine timeless glamour and fresh, contemporary city style. Statement walls feature fanciful wallpaper from Cole & Son, which arm chair, cushion and curtain fabrics have been sourced from Lee Sofa, a company that has been producing prints and fabric since 1823, and British brand Osborne & Little, among others. Hamish Kilburn: What is your favourite colour this season? Alexandra Champalimaud: I favour classic colours that don’t abide by trends. Rust orange, rich shades of blue, and green. HK: What’s your advice to emerging designers? AC: Believe in everything that you do. 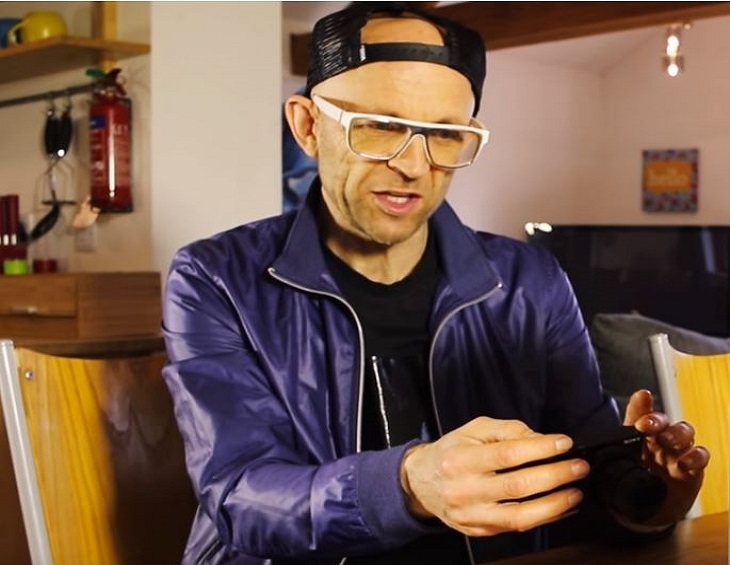 HK: What is your number-one travel essential? 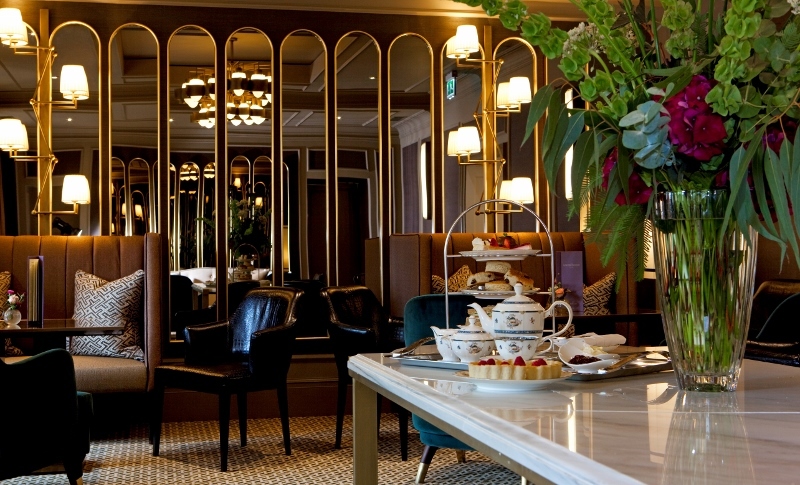 HK: What’s the secret to success in this world of hotel interior design? AC: Challenges are opportunities to create something more awe inspiring than you may have initially thought – there are always changes, change in budget, change in schedule, perhaps the entire project gets scratched – but these are opportunities to bring more to the table. Charisma and good humour will also take you far. HK: Biggest inspiration in your career? AC: My team. At Champalimaud we have an unparalleled group of individuals in our New York based office, they make coming into work an absolute joy. “First and foremost, the location is what really sets this project apart,” says Alexandra Champalimaud who, to me, looks far too composed and relaxed for two reasons as we meet for breakfast. For starters, although her soft English accent would suggest otherwise, Champalimaud is actually based in the loud, sleepless city of New York. And secondly, we are catching up at the same time of London Design Festival, when more than 450,000 designers, architects and creatives from around the globe descend onto the capital to catch the latest trends, discussions and product launches. Never before has the analogy of a duck above water been so apt than in this situation right now, and it’s inspiring to watch. “Bath is an actual treasure, a world UNESCO World Heritage Site, and frankly I think it’s one of the most magical places in the UK,” she says passionately as we begin to talk about The Gainsborough Bath and Spa, the five-star hotel that stole both of our hearts. A few weeks before, I was checking in to the hotel for the first time. 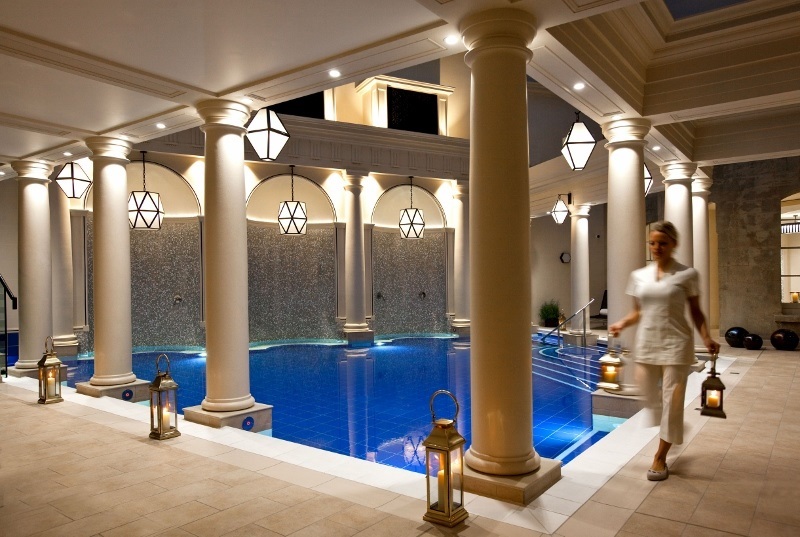 The precious interiors and renowned spa that are housed within The Gainsborough Bath and Spa are on a need to know basis. 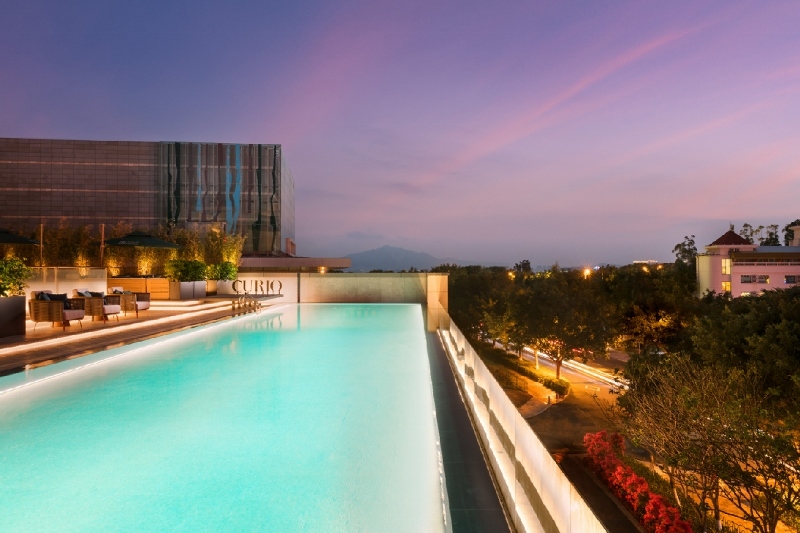 Tucked away from the rest of the town, yet very central in its address, the hotel among the locals is known for its luxury edge over the rest of the hotels in the area. The hotel’s look and feel is – like its staff – inviting, warm and naturally comfortable to be around. Deliberate attention to detail has been given to ensure that the modern hotel gives an appropriate nod to its storied past, with several references of traditional items evident in the public areas. Such as the Turin Portantina Seden Chair, which once in the 17th Century was used to carry royalty and now sits at the bottom of the main staircase in the lobby, creating a lasting first impression. The artefact is one of around 50 known to exist of its shape. Champalimaud and her team have created several dramatic scenes within the hotel’s public areas. 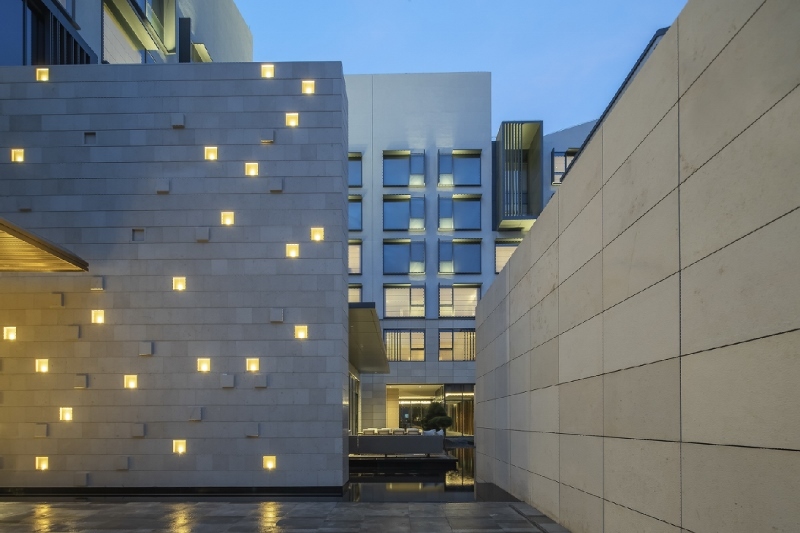 “We realised that we didn’t want to detract from the building’s historical charm, but simply enhance it,” says Champalimaud. 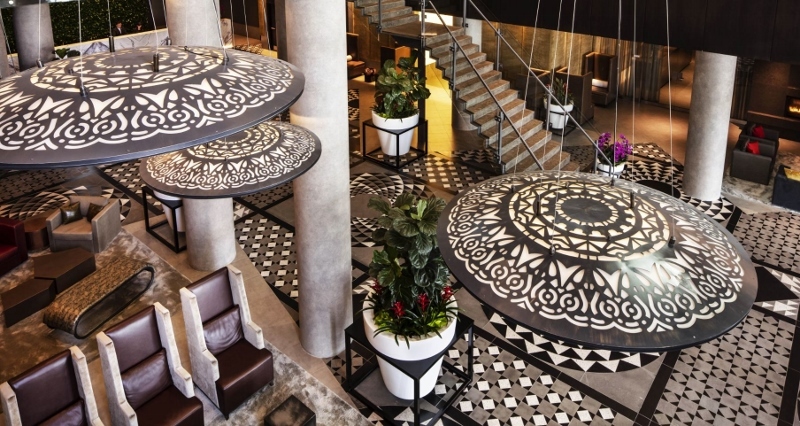 “Whenever possible, we highlighted some of the hotel’s original features by employing design details that were reflective of the Roman and Georgian history of the city. 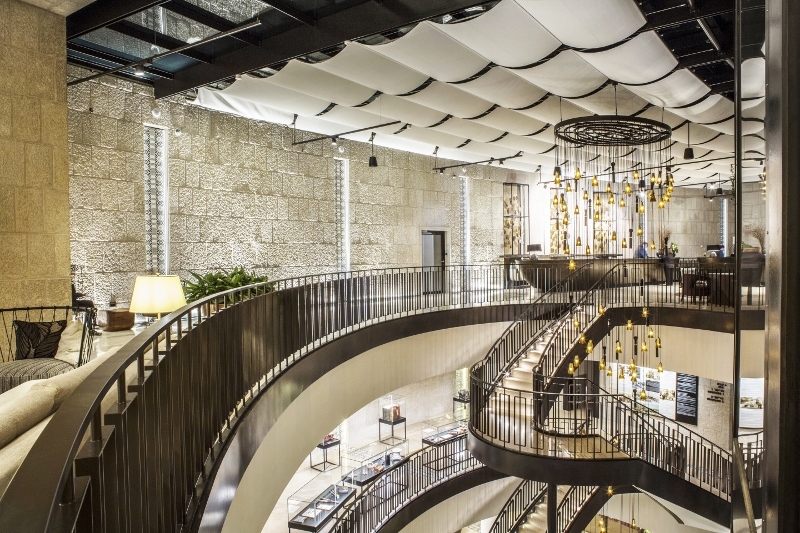 Overall, the design is transitional – weaving in the classic English cosiness with a contemporary point of view.” One of these moments is the dynamically obscure chandelier that hangs in between the large main staircase. Another example of drama is quite literally written on the walls. Several pieces of contemporary art around the hotel, at first, look impressive and well placed. However, when learning that the artists are in fact local art students, the walls all of sudden have a different dimension. “What do you think it is,” said the waiter as I stood in front of a large abstract art piece which was full of dashes and colour. Tilting my head, I saw it. The piece of art, again imagined and created by local student artists was a contemporary representation of the restaurant we were actually stood in. 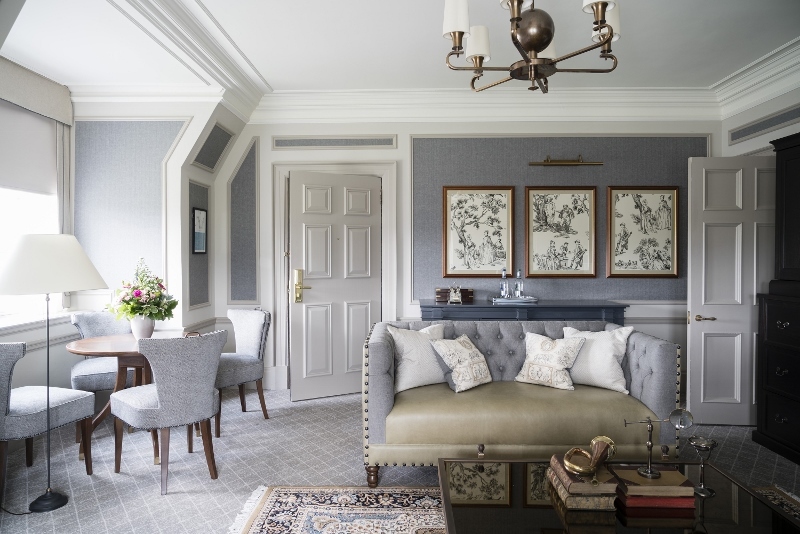 Since experiencing the hotel in all its finery, The Gainsborough Bath and Spa has entered a special place in my heart – which is the same, it seems, for among many of its visitors who walk through its calming entrance. 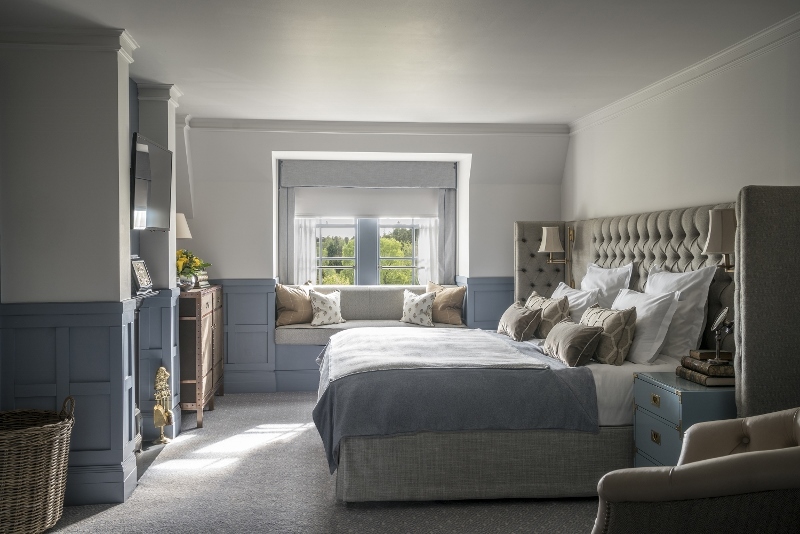 A little more than 100 miles from the centre of London, it is a South west gem, and certainly gives five-star hotels in the captital a run for their money. I checked out of The Gainsborough Bath and Spa and left with a much lower heart rate from when I arrived and a new-found appreciation for Georgian heritage buildings that shelter stunning hotels spas. The answer, perhaps, is in the waters. “Manchester is a shrinking violet,” said no designer, ever! It’s impossible to ignore the scale of construction that is happening right now in the UK’s third largest city. It has become, in its own right, a hive for hotel design and is going through what is reported to be one of the largest city centre developments the north has ever seen. According to TOPHOTELPROJECTS, there are currently 18 first-class and luxury hotel projects listed for Manchester with 2,907 rooms in the pipeline. Seven of these projects are scheduled to open before the end of the year – and a further eight are slated to be unveiled in 2019. This has pushed open the floodgates to the launch of new hotels and turning a page to a new chapter of class, character and style – and the striking hotels are making London just a little bit jealous with the city’s jaggedly jaw-dropping cityscape skyline as a major focus. 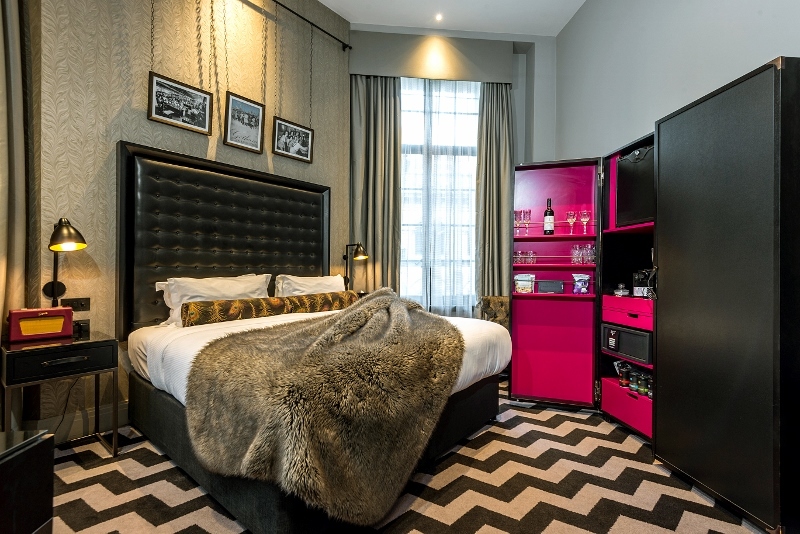 Cue the launch of King Street Townhouse, which adds to the growing portfolio of the Eclectic Hotel Collection. 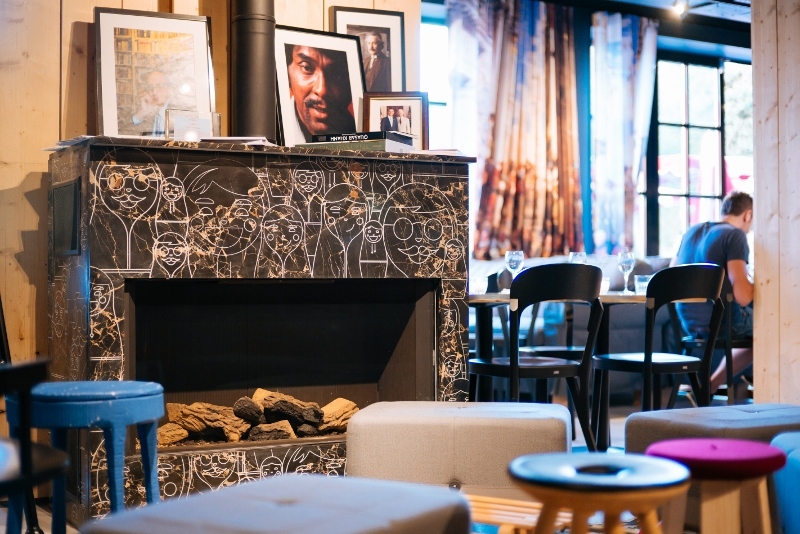 The 40-key boutique hotel is small enough to have its own quirky personality but not to ever be confused with insignificant in any stretch of the imagination – its trendy interiors certainly make up for size. 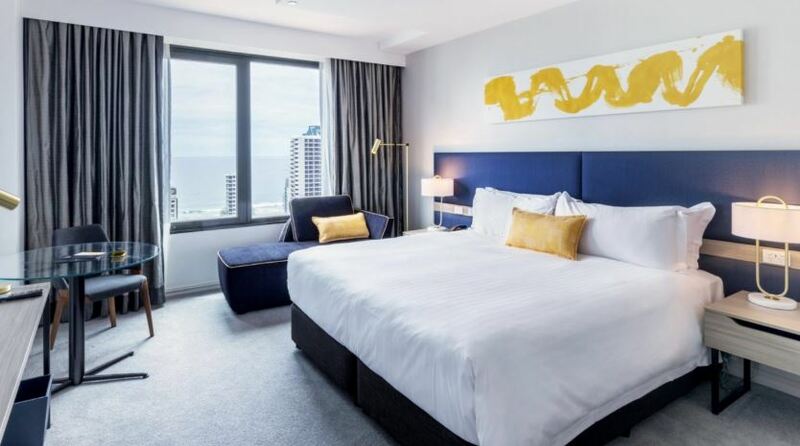 Located on Booth Street, on the fringe of the city’s central retail district, the hotel has attracted more than just city travellers and the occasional editor. The hotel has become ‘the place to visit’ for those wanting to experience the city from a totally unique perspective. The building itself was originally designed by local Mancunian architect Edward Salomons and originally built in 1872 for the Manchester Salford Trustees Bank. 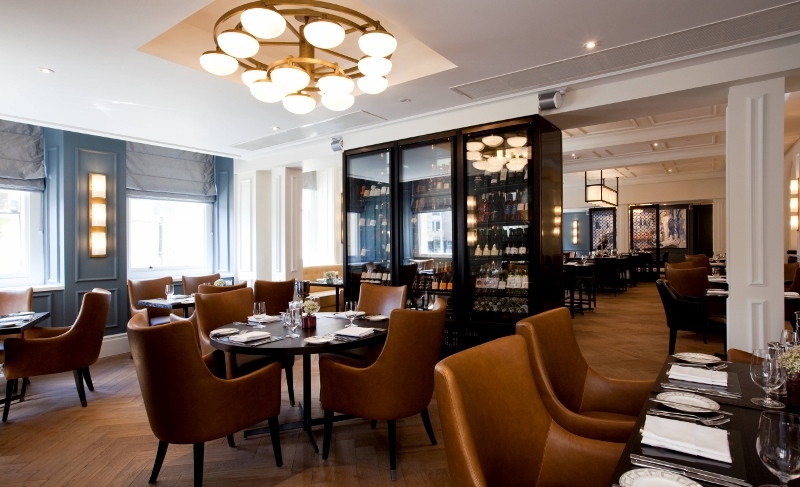 The Eclectic Hotel Collection unveiled the hotel at the end of 2015 with the aim to respectfully expand on the allure and unique qualities of this historic building with a baby grand hotel providing the need for new contemporary accommodation in the area. Checking in to the hotel is an intimate experience. Guests turn left to a small, functional check-in desk. Monochrome tiles lead the way toward the grand staircase and a single lift. The wallpaper in each of the corridors is fun and quirky. Each guestroom at the hotel is different, I mean really different. Because of its boutique label, the hotel owners were able to play around with different looks in each of the 40 rooms and suites. The result is that in each room, something different stands out. For example, in one room I viewed, an intricate headboard immediately attracted attention, giving the room a delicate feel. In another, a large free-standing bath, positioned under the window frame, sits on a slab of tiles. With the hotel being sheltered within a grade II listed building, the modern architects AEW Architects were limited as to what they could change. Using this as an opportunity for the hotel to give a nod to the heritage, the team worked on ways of how they could balance modern into the sensitive project. Art, as it should be in all hotels, is a major focus. Many of the pieces have been curated to obviously depict major milestones in the city’s history while avoiding looking and feeling too cliché. Although the theme is the city, each room has a different take on what Manchester means. Upstairs on the seventh floor is where the real point-of-difference is situated. 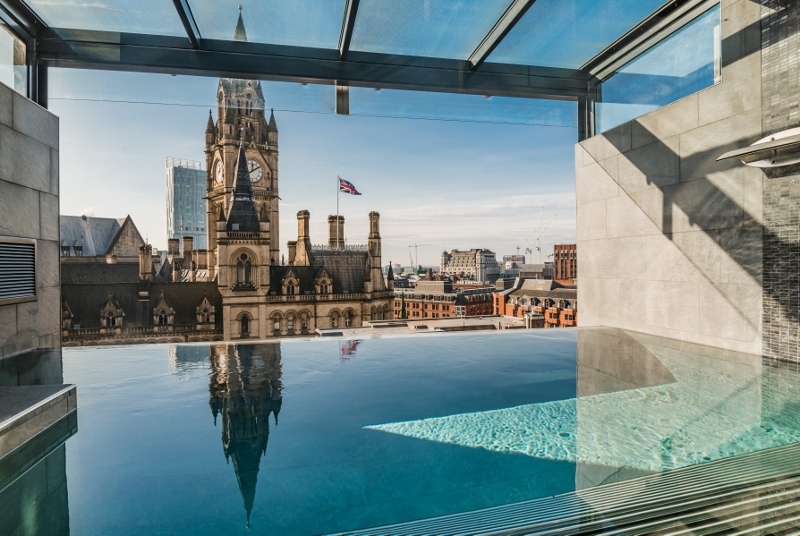 The hotel is the only one in Manchester to have its own rooftop infinity pool, offering a totally unparalleled perspective over the city that stretches out towards the iconic Town Hall, Beetham Tower and the horizon beyond. Just below that on the sixth floor is an open terrace and a suitable meetings and events venue area that recently and appropriately sheltered Hotel Designs Meet Up North. From up high to down low, the The Cellars are reserved for the best screening seats in the house. 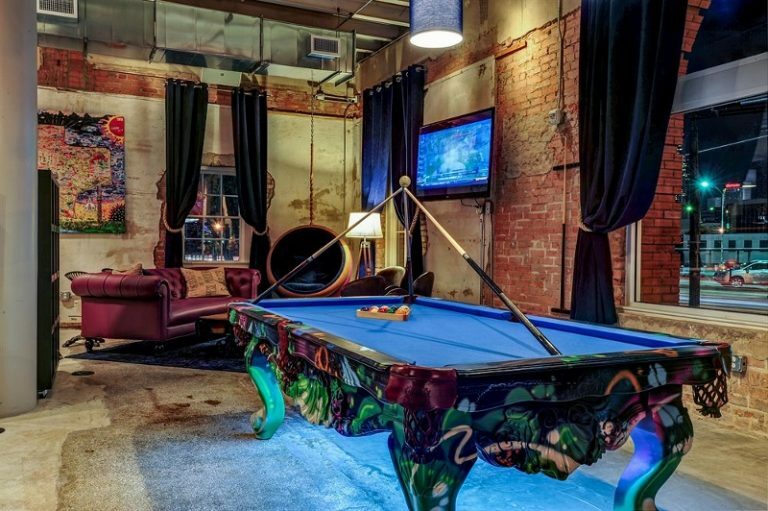 Its own luxury cinema, in fact, and a private wine tasting room, complete with original red-bricked ceilings and walls create a unmatched atmosphere. 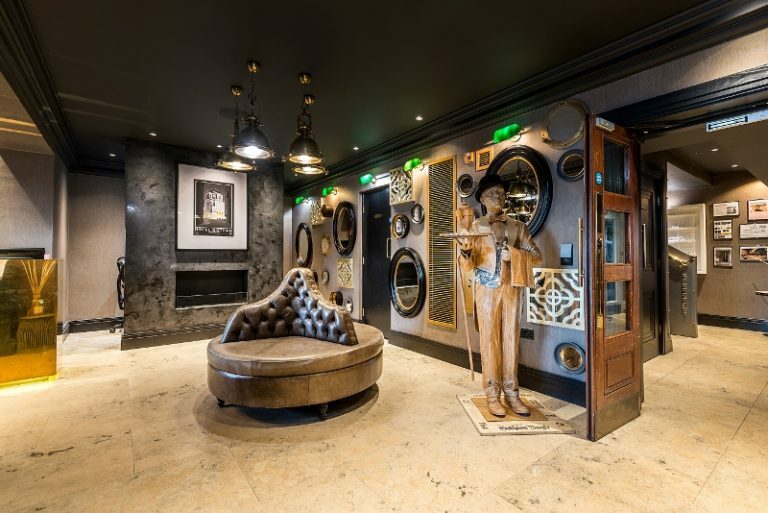 The Eclectic Hotel Collection currently operates a total of four destinations within Manchester and has a wealth of knowledge in respectfully converting historic buildings. 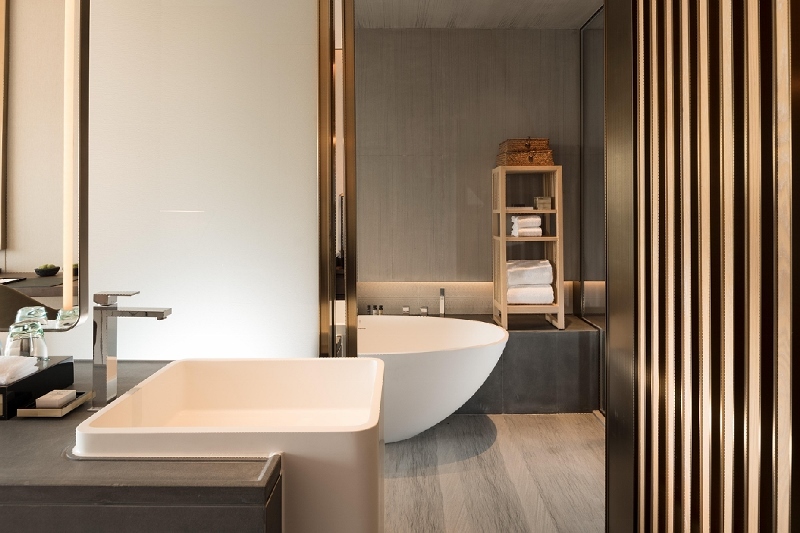 Overall, King Street Townhouse is a striking example of how Manchester is cutting the ribbon on design gems that have been designed to create unforgettable moments – moments that help lift an Instagram feed to new heights. 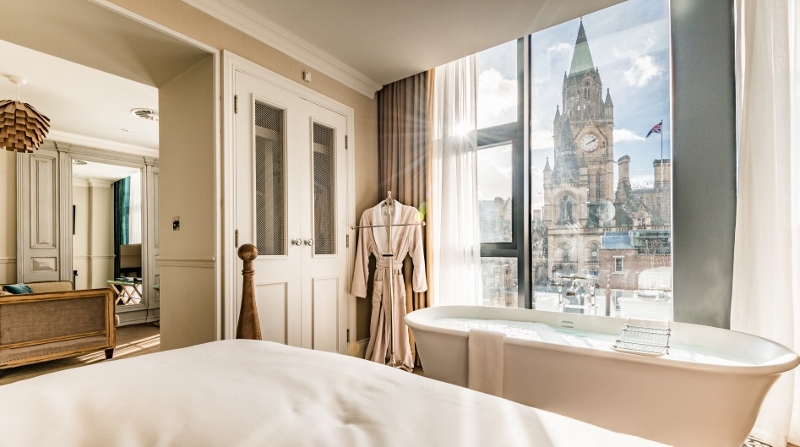 The small hotel with a big personality – and even larger heritage – certainly makes its mark and turns a new page of luxury in the cultural and eclectic city of Manchester. Perched on a hilltop facing south, with Phuket’s Patong Beach to the left, Wyndham Grand Phuket Kalim Bay’s location was certainly not compromised when local architect Rachapuk Sungkhaphunt from Greenity Co. Ltd designed the foundations of what was said to be ‘a new kind of luxury’ away from the wild, bustling and polluted streets behind Patong Beach. Opened in December 2016, the hotel offers 214 elegantly appointed guestrooms and private villas as well as large public areas throughout. 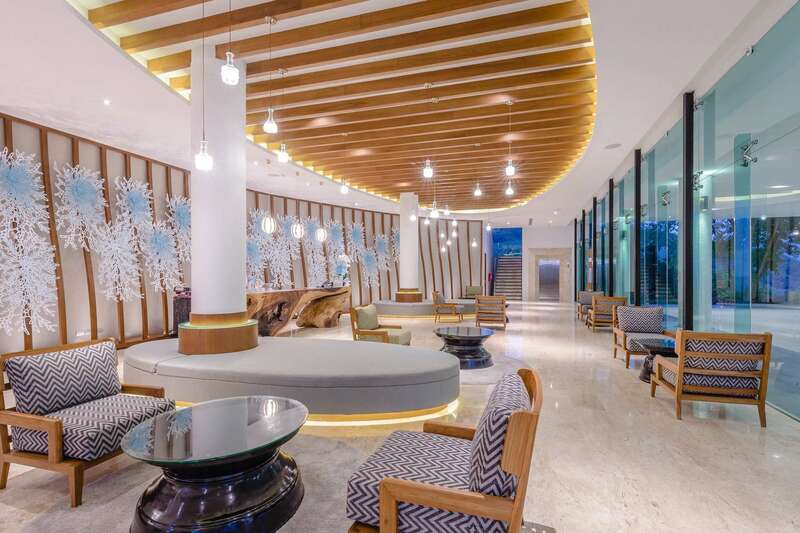 The hotel’s structure was thoughtfully designed using the natural landscape as a tool to stagger the individual blocks so that from all corners of the hotel, guests can marvel over the sweeping ocean vistas that extend over the Andaman Sea. 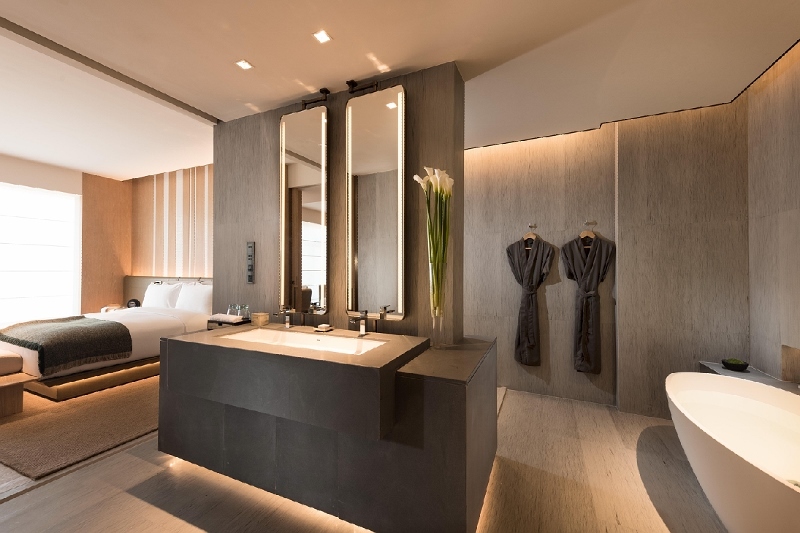 Approachable by design, simplicity, minimalism and copious amount of space, interior designer Voravee Puranasamriddhi from Bangkok-based firm 1328 Pt Ltd led the interiors throughout the hotel. Vast emptiness and unused space captured my first impressions of the public areas. That’s because at first there is little to see, as the finest areas are rightfully to be enjoyed by guests only, and clearly detached from the loud streets across the bay. Designed to reflect more of a terminal than a lobby, the first building guests walk into when checking in on the ground floor is bare and offers just enough facilities for a member of staff to tick you off the list and direct you on. It shelters a constant flow of traffic and once guests have been filtered through this system they are picked up by a car and driven to the main lobby, which is situated three floors above the first terminal. Unlike the main entrance, the lobby is striking with a strong, solid check-in desk sat in the middle of a modern, light and airy room. Tall floor-to-ceiling glass doors open into a refined and elegant space, while intricate wallcoverings, designed to replicate corral, burst with personality. The furniture is simple yet comfortable with under-seat lighting reflecting off the ceramic flooring. 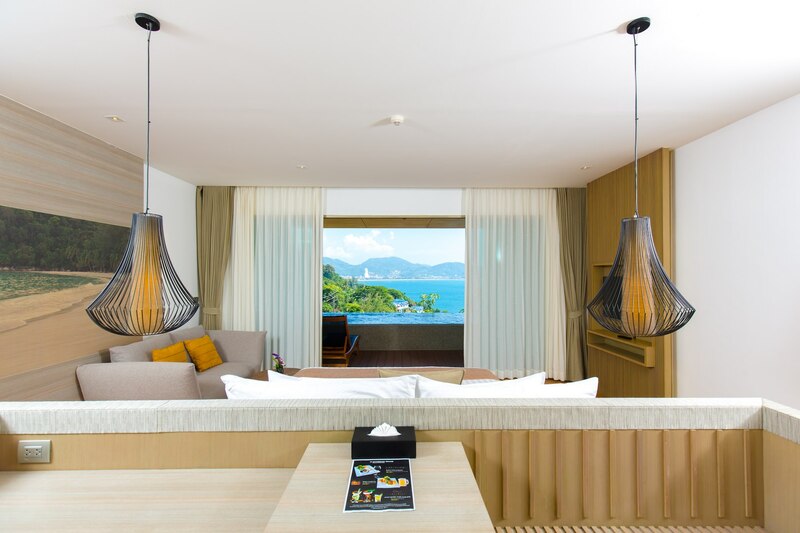 All guestrooms and suites are Asian-inspired with a modern touch. 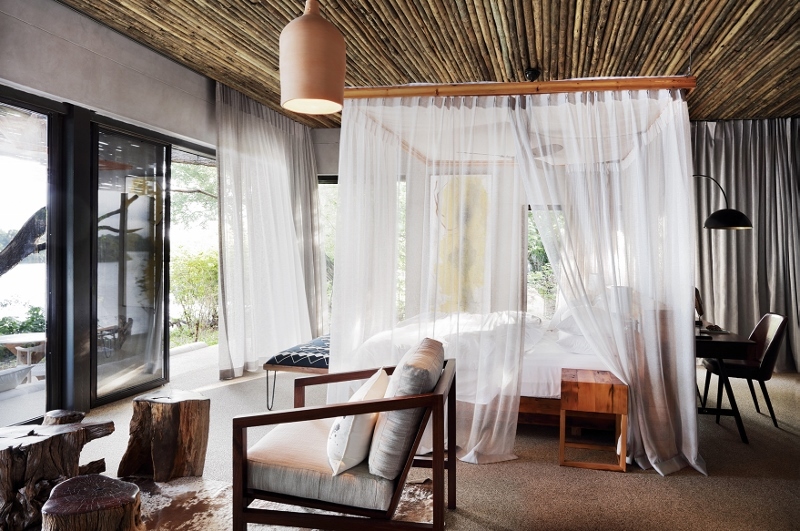 Wooden floors, warm colours and floor-to-ceiling windows create a blissful sanctuary allowing guests to unwind and take in the jaw-dropping views. Offering by far, though, the most luxurious experience is the Luxury Private Pool Villa Panoramic Ocean View, which sit in the middle of the complex. Designed to blend Asian decor with Western, modern, spacious living – complete with a private infinity pool and decking – the abode allows you to enjoy the panoramic vistas of the bay from a premium perspective – whether that be on the balcony or on the edge of your own infinity pool, accessible from the decking, the living room and the large bathroom. 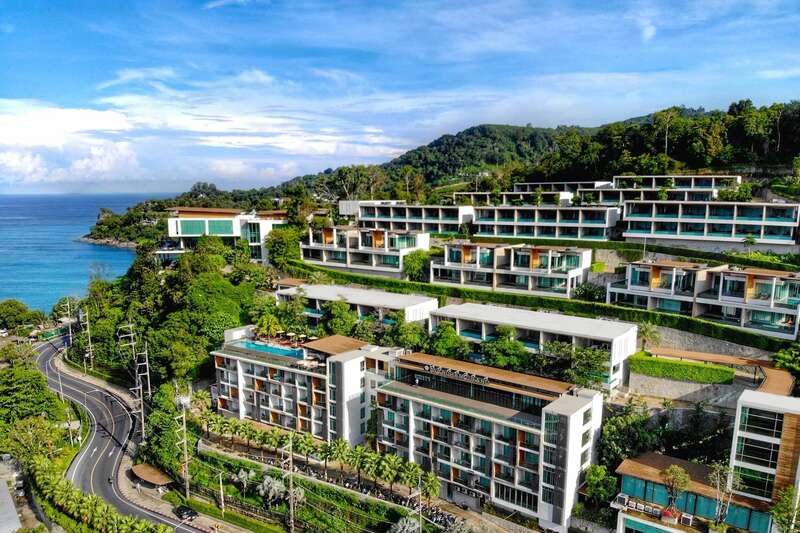 Each of the resort’s 152 pool villas, the most in the Kalim-Patong area, feature a private outdoor sundeck and a six- or nine-metre infinity pools overlooking the ocean, providing guests checking in with privacy and seclusion as well as ultimate comfort and relaxation. The lighting in the room is tasteful and well-designed. A control panel next to the large bed allows guests to personalise the ambiance to suit every mood. 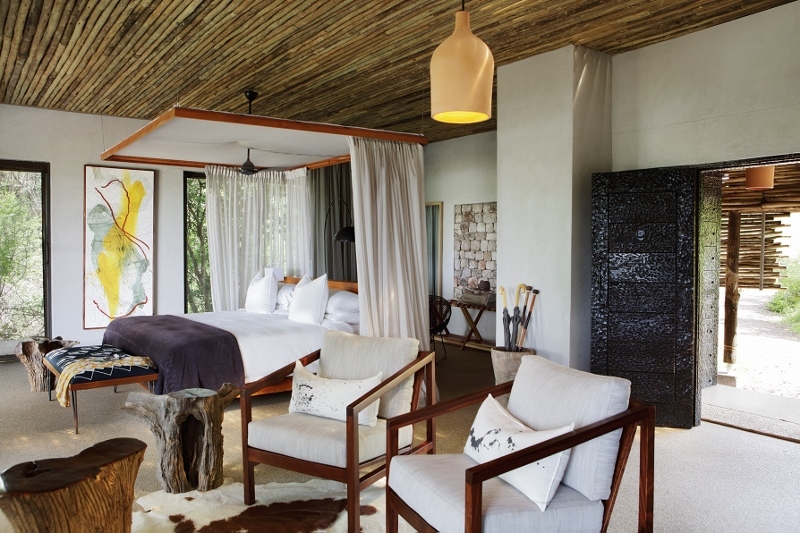 In addition to spotlight lighting, two pendants hang from the ceiling either side of the large bed. This, I believe, adds another dimension to the minimalist setup. The bathrooms are large and again offer unmatched views through floor-to-ceiling windows that open completely so that the panoramic view is never sacrificed. 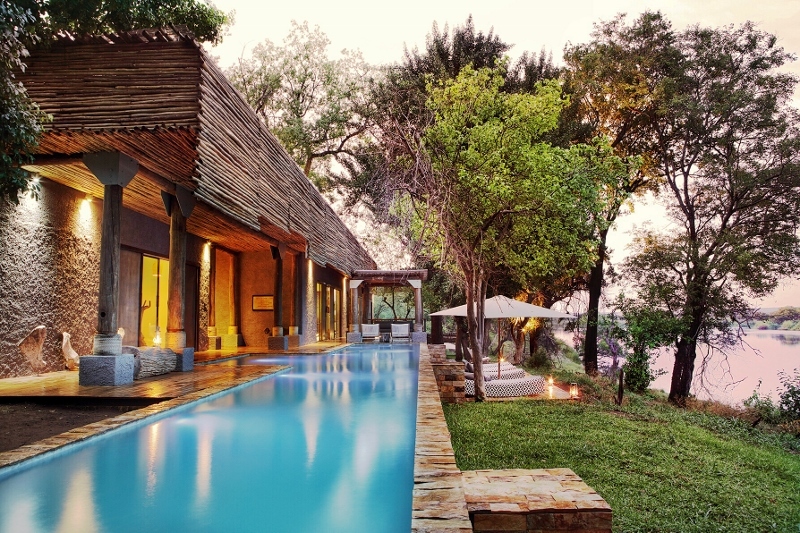 A large twin tub sits above the infinity pool. Next to it is the walk-in rainfall shower. Above the large twin sink is an oversized mirror that reflects a spacious home-away-from-home feel. 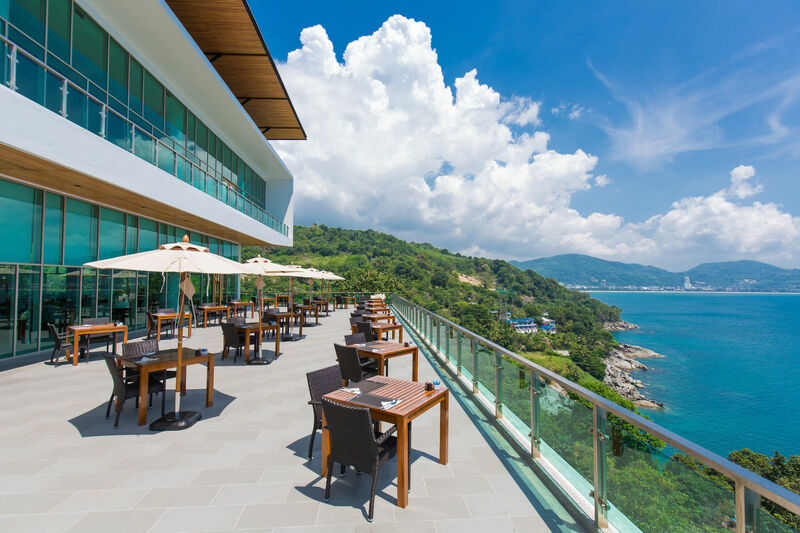 Dining at Wyndham Grand Phuket Kalim Bay has been designed to capture a multisensorial experience with two restaurants serving authentic Thai cuisine and international favourites amidst breathtaking sea views. 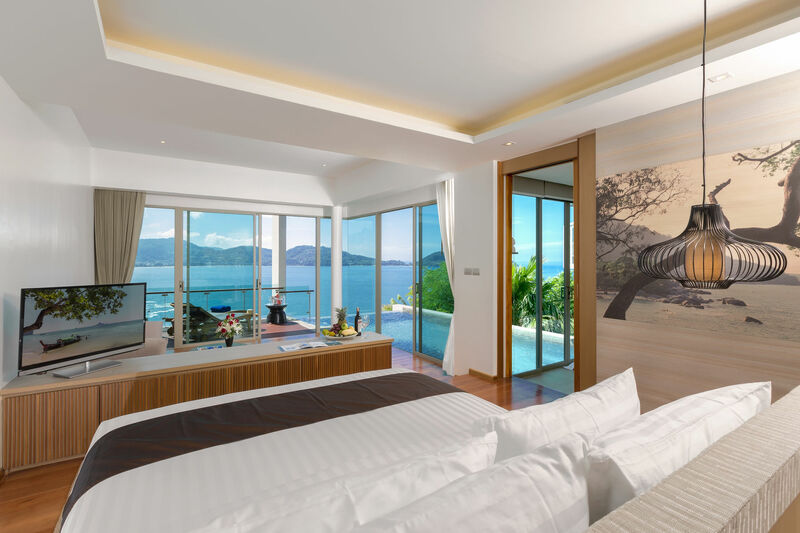 What I respect most about this hotel is that it may be a stones throw away from provocative streets of Patong Beach, but it is worlds away from the ‘in your face’ attitude that’s evident across the bay. 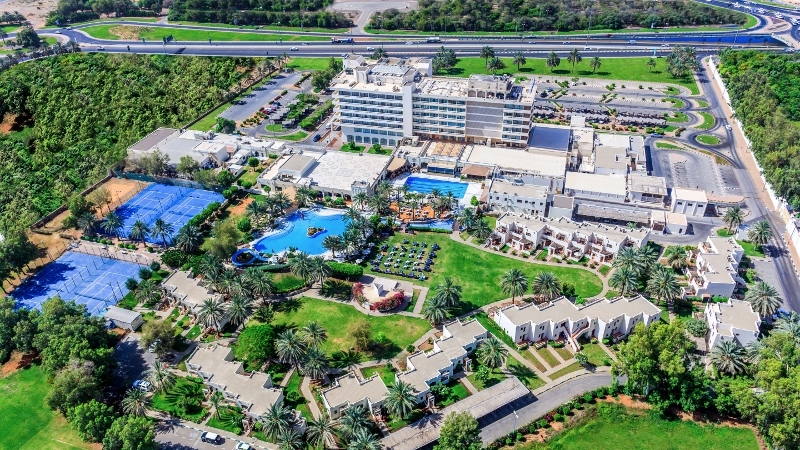 Wyndham Hotels and Resorts now has more than 9,000 properties worldwide. Recently, Hotel Designs sat down with the new Managing Director (EMEA) to discover what the next chapter for the hotel group looks like. 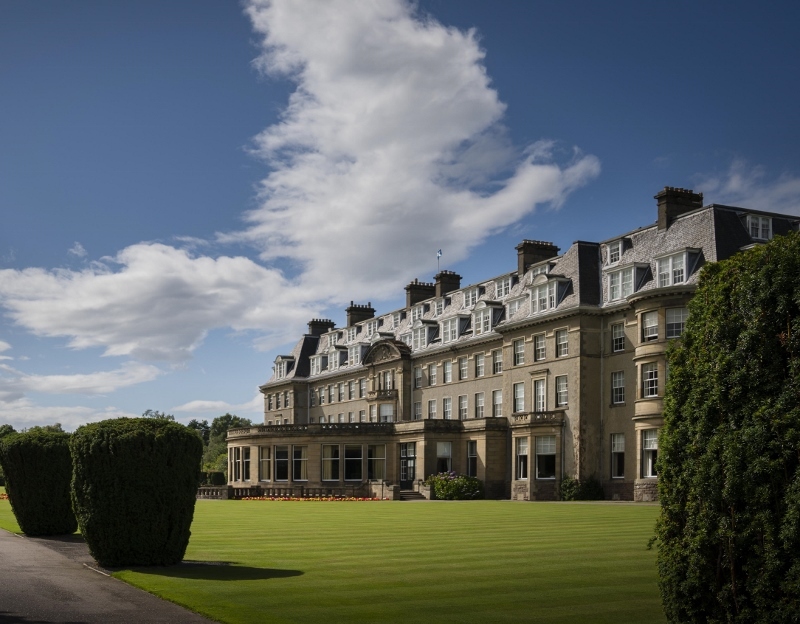 The hotel industry is one of the largest in the UK, with an average occupancy rate of 76 per cent as of 2018 alone. From business trips to family holidays, hotels are in constant demand, meaning that even the smallest of stays must be treated with the highest care and detail. 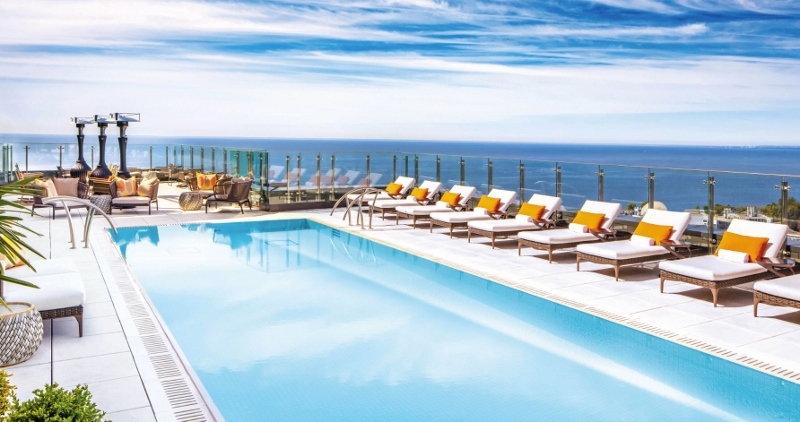 However what is it that goes into the perfect hotel stay, and what should you do to deliver the ultimate hosting experience? The first element to delivering the perfect hotel experience is convenience. Every potential guest expects the ultimate in convenience, seeking relief from the normal responsibilities of everyday life. This can be simple things like asking to take guests’ bags to their room, and having a wide-ranging menu, suitable for all pallets. This can also be more luxurious convivences such high-end amenities and special welcome baskets for guests. 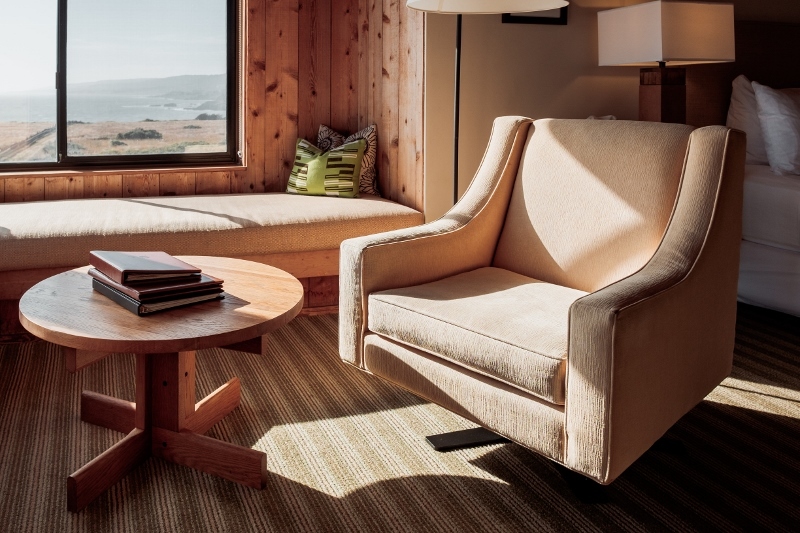 These elements combined add to the feeling of relaxation and relief that every guest should feel, whether they are staying for single night or a full week. Offering convenience is pointless if your guests do not feel comfortable during your stay. From the moment guests check in right up until they leave, they must feel as comfortable as possible. Good service can contribute to this, as well as having high quality linen, towels and other essential items that guests now expect as standard when checking in to any hotel. Another way to ensure and comfortable experience is within the design of the rooms themselves. Depending on the market your aiming for, your design and themes will be reflective of this target market. 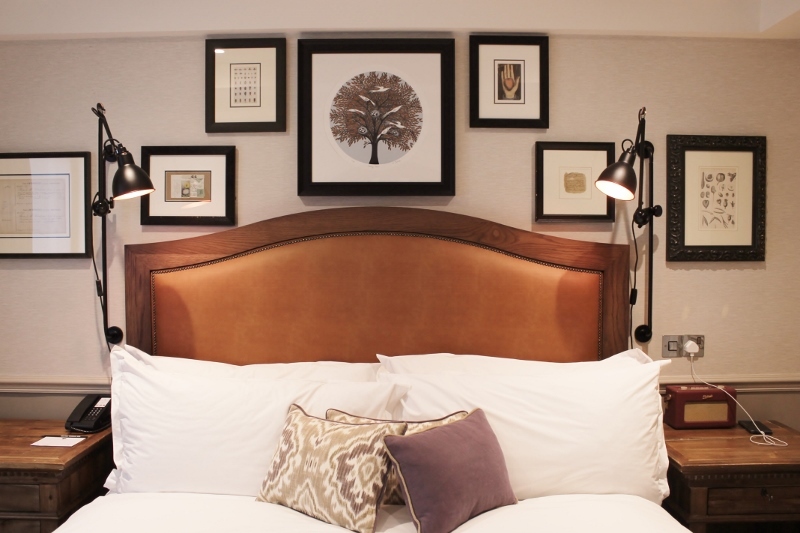 However, even for those looking at a high-quality image without breaking the bank, there are options available for your room designs. Simple changes like a fresh coat of paint or new wallpaper creates a rejuvenating atmosphere, along with stylish yet functional furnishings and fittings all add to the feeling of comfort. This even stretches down to the floor, from plush carpets, vibrant tiles and even wood laminate flooring enhancing the feeling of comfort for your guests. Not one human being is the same. Therefore, we all have different needs, tastes and demands, which as a hotelier you should aim to meet where possible. Say for example you have a guest requesting to visit a local aquarium. Why not offer some recommendations to make them feel special and appreciated. One reality of being a hotelier is that competition is everywhere; at times even on the same street. It is likely that your guests have stayed at dozens of hotels before yours, making an enjoyable stay even more of a challenge to achieve. However consider what makes your hotel unique to you. Portraying a professional and friendly image combined with a personable approach which you have customised, all go towards the hotel experience and can encourage positive reviews and repeat visits. 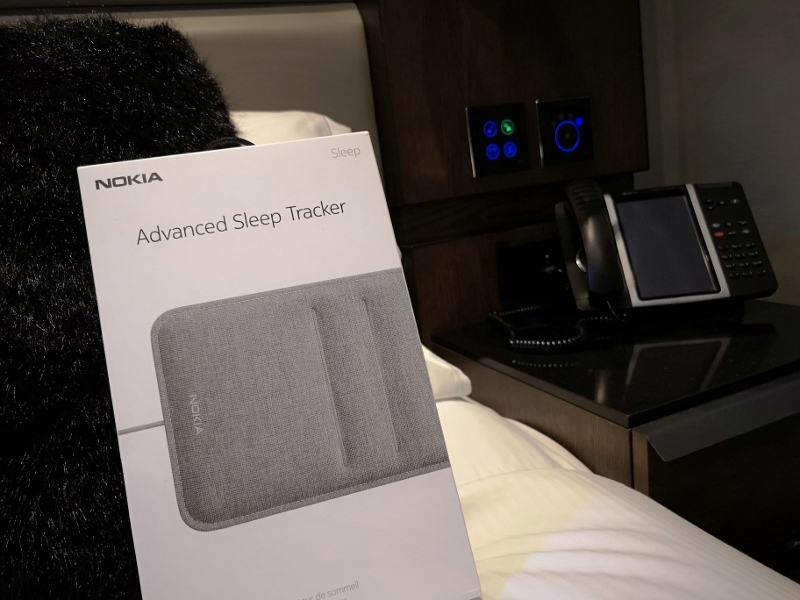 Quiz nights, an open bar, a free swimming pool (if you are in that market) are just some of the example of how you can create a custom hotel experience to meet your guests needs and expectations. Blink and you will miss it. The unassuming framed ornate wrought iron gates are the first of many indications that rules have been broken when designing the concept of The Mandrake Hotel. 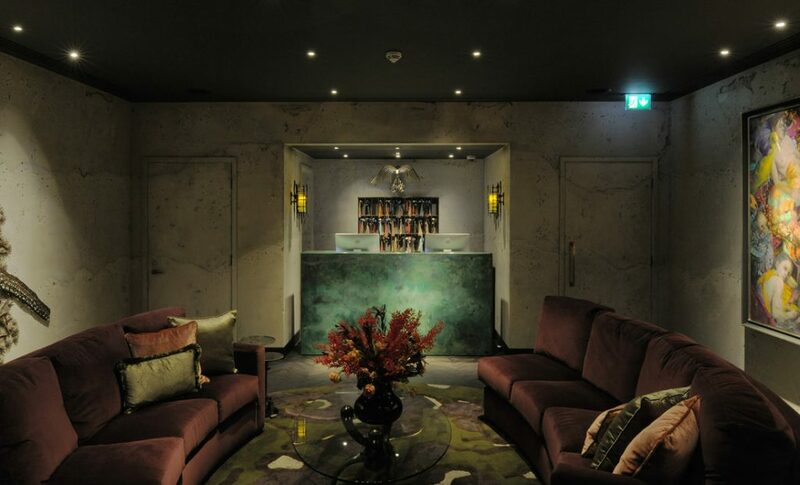 Unlike other luxury hotels in the area, such as Charlotte Street Hotel and The London Edition, The Mandrake’s entrance is very low key – almost as if its exact whereabouts is on a need-to-know basis, which of course it is. 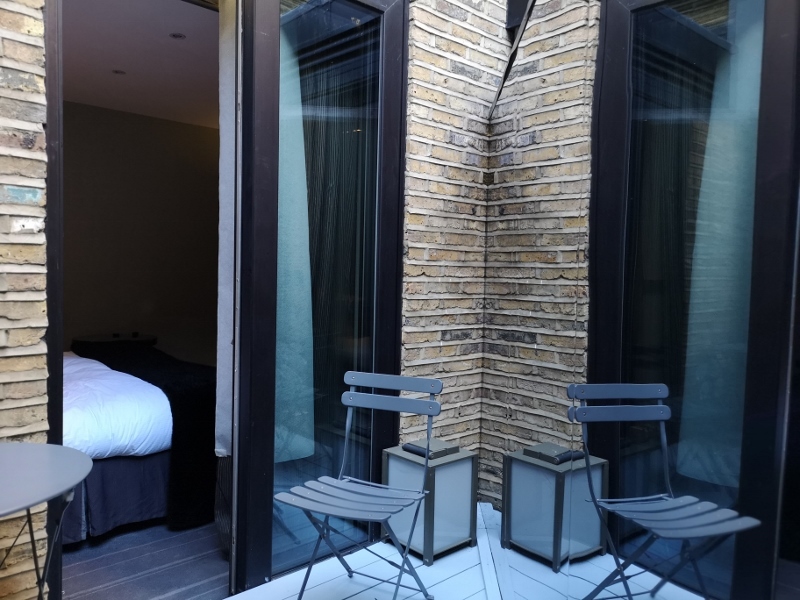 Five years in the making, and a first for the Fustok family, The Mandrake Hotel sits in a former Victorian office block and has been artfully converted into the cool, urban boutique hotel that it is today. 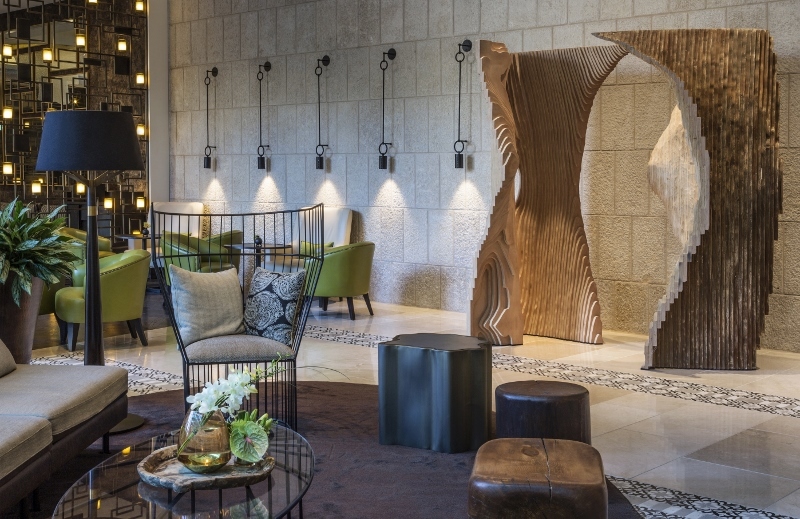 One thing that is immediately apparent when entering the building is that the design elements of the hotel feel very personal. Interior designer Tala Fustok’s creativity literally runs through the walls of the hotel. “It was important to keep the honest feel of the building, and preserve its identity,” explains Fustok in a recent press release. An example of this can be found in the public areas that have been carefully curated with surrealist sculptures to portray the feeling that nothing in this hotel is what it first seems. 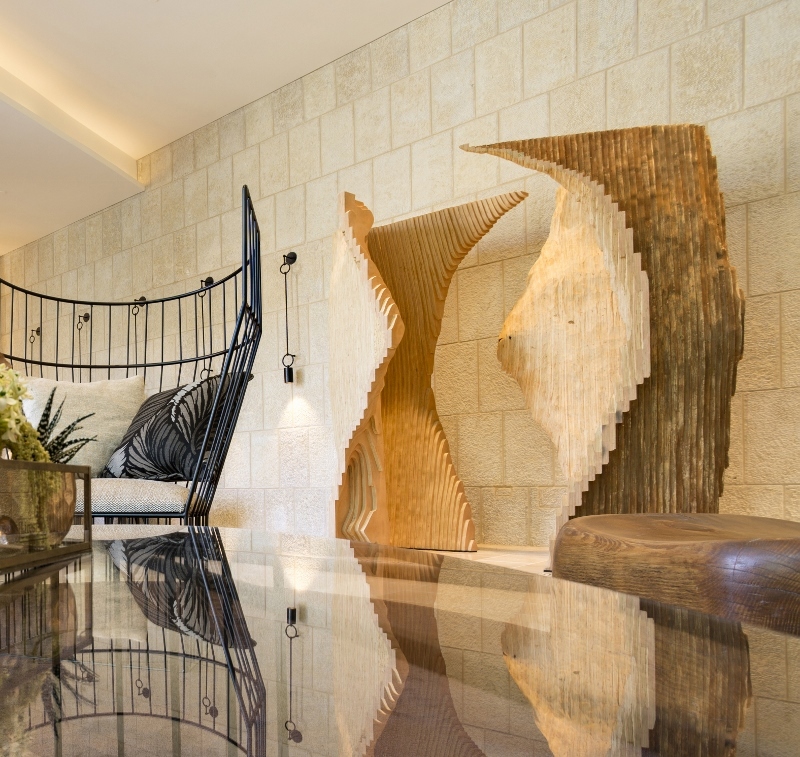 Striking pieces of art depicted by nature make a lasting impression when entering the strangely calming lobby. Industrial-style walls marry nicely with the understated yet stylish reception desk. The lobby hangs under a large gothic-style chandelier, lit by 30 wax candles, and the soft ambient lighting is well balanced to welcome guests into a curious new world. 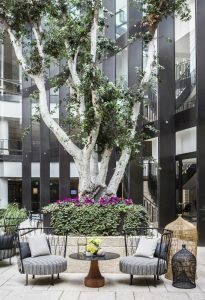 The theme of outdoor indoor space has been well examined throughout the building, with natural light and the hotel’s incredible terrace being seen from almost all corners of the public area. A modest courtyard is poised and readily equipped for all occasions and looks up to the terrace, above which is a large living wall of plantation. The dramatic Labradorite bar, at some 30ft in length, is the hotel’s source of energy. The dark Victorian panelled mahogany long bar is balanced by the room’s inspiration of nature. This area is rich in greens, with a gentle riot of Parisian fabrics and thick verdant palm textures of green, purple and red. Above the bar hangs the specially commissioned mythical-gazelcock (part-impala, park peacock) by Enrique Gomez de Molina, adding the mixture of eclecticism and humour. Considering the hype, only 34 guestrooms, three suites and one incredible penthouse are sheltered on three levels, each designed to unlock a chic, unique, cosy, quiet, high-ceilinged refuge, worlds away from the hustle and bustle of London life below. All guestrooms are carved around the palm tree-studded interior courtyard, which centres the hotel and provides rooms with ample natural light. 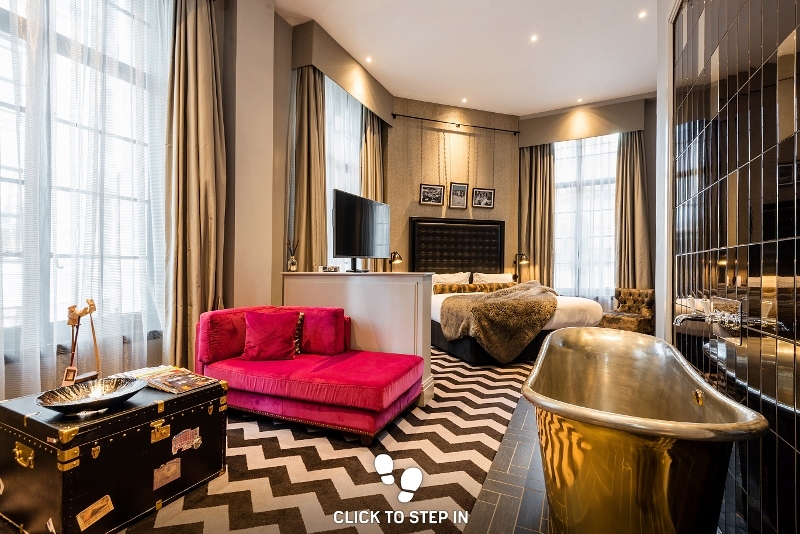 Designed with a mixture of maximalist bohemian throughout, the rooms create “a glamorous constructed garden of Eden” as Fustok puts it. There is a sense of harmony as if two cities are colliding in the room’s interior fittings. Indulgent Parisian jewel-toned velvets, gilding mirrors and commanding metallic coffee tables add a flare of glitz in the interiors. 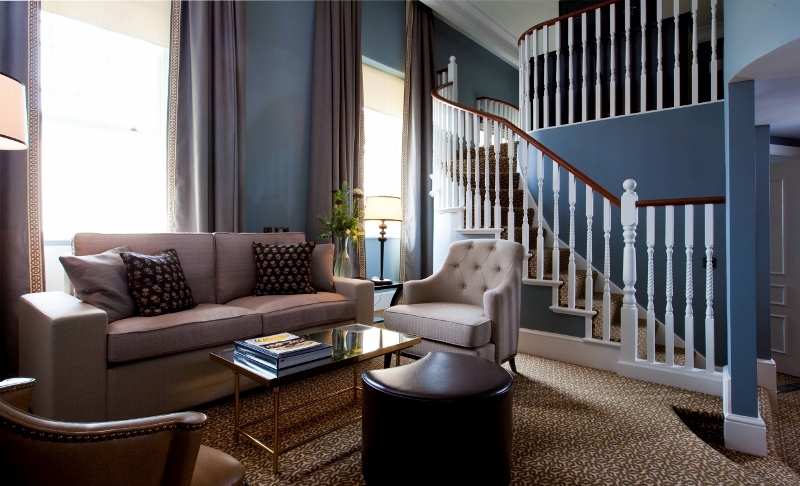 This is balanced with a cool London city vibe of earthy-toned drape curtains, an curvaceous wing chairs. “I wanted to keep the feel of the building’s natural, raw energy,” explains Fustok when describing the well-proportioned rooms and high ceilings of the Victorian shell. Clean lines have replaced the unusual period mouldings, resulting in bedrooms that envelop you in their infinity of moody hues. Striking vintage one-off pieces compliment the dark paint tones, while accents of colour are added by interesting artwork. Together, 33 different chandeliers and vintage panel screens covered with lush botanical plants in the guestrooms echo the bohemian vibes weaved around the hotel. The pièce de résistance is The Mandrake Suite, painted in dark sultry tones that echo through from the bar and seductive hallways. 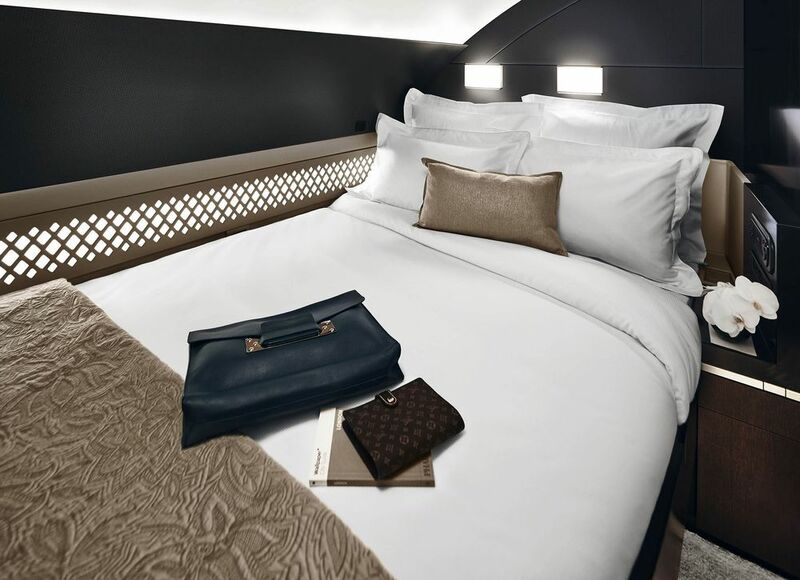 The luxurious bed is swathed in Bedouin-style folds of fabric. 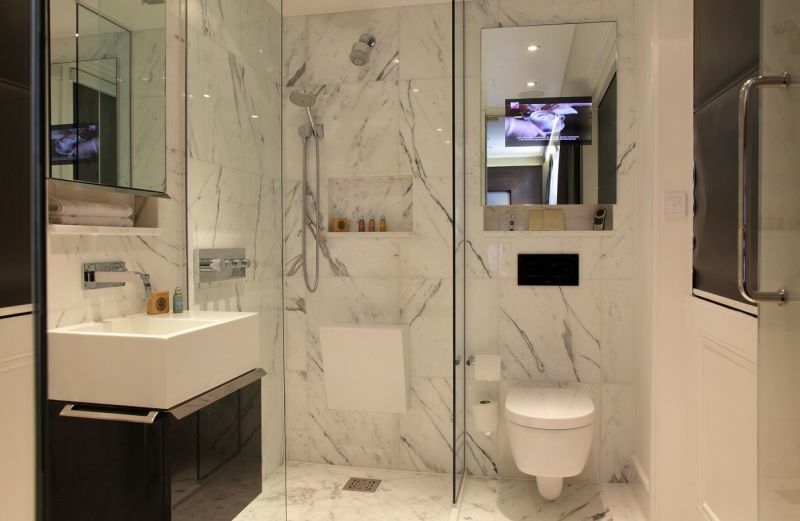 A standalone bathtub set on a slab of black-veined marble adding to the majestic look and feel of the suite. As I descend down the lift towards check-out, the courtyard emerges and the sense of coming back down to earth feels very real. 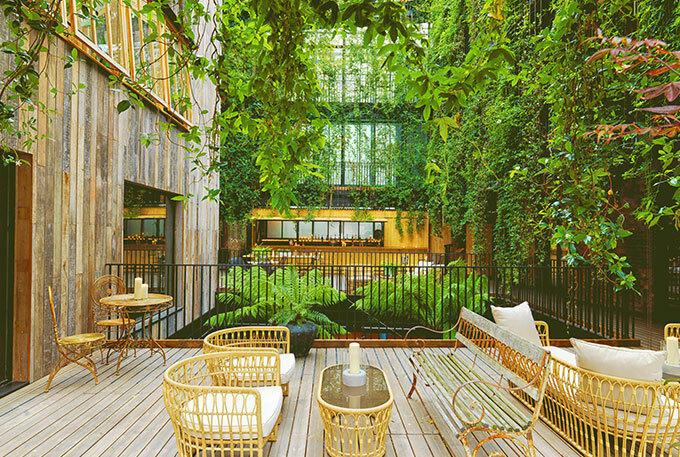 My conclusion is that, among the hundreds of hotels to open in London, The Mandrake stands as a shining example of how taking risks and following the heart when injecting a hotel’s personality pays off. Bravo Tala, the rest of Fustok family and all others who were involved in creating what we hope to be the first of many truly transformational boutique luxury hotels. 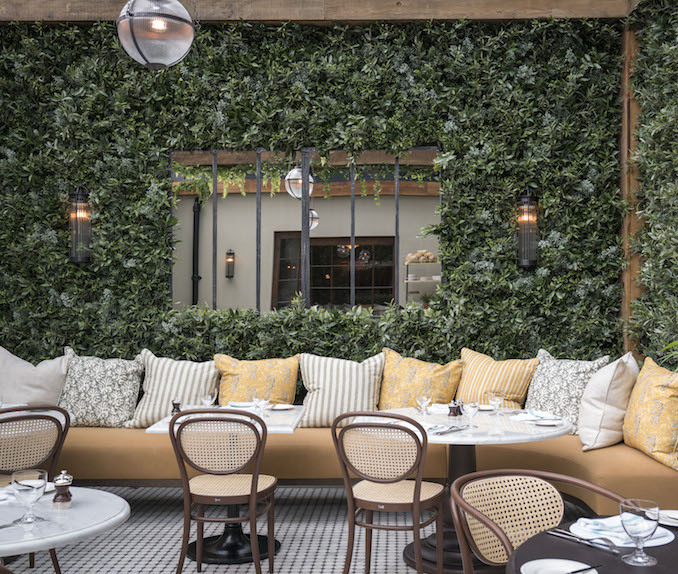 Fitzrovia’s ever-evolving trendy hotspot is rumoured to soon welcome a new Bluebird cafe as well as one of London’s premium HIIT and spin studios, Digme Fitness, which will open directly opposite the new Facebook offices in Rathbone Square. With these major openings, I get the feeling that The Mandrake’s quirky shell could soon well become ‘the local’ for many premium businesses nearby.